Compared to Ross’s feelings, it is really deep. The joy and touch of the oldest MVP has never been overwhelming. 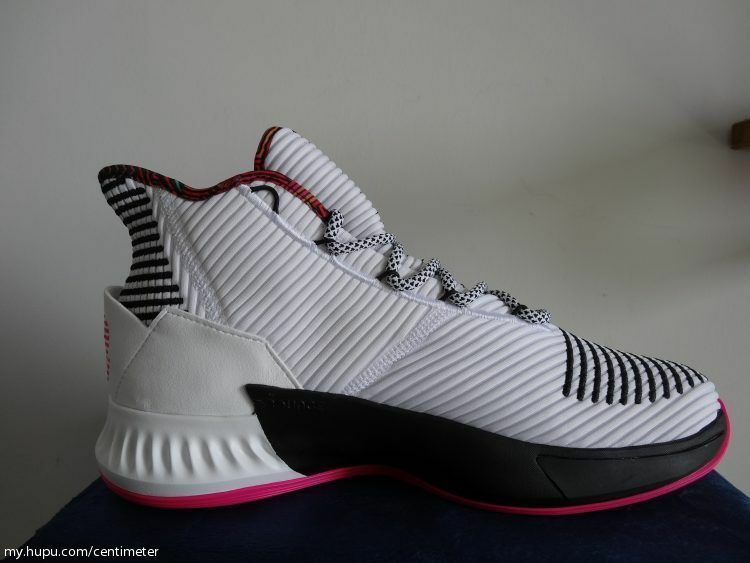 The partnership between former NBA MVP Derrick Rose and Adidas will carry on with a new signature model, the Adidas Rose 9, but the Rose 8 ,DRose.Reborn has posted renderings showing what the model will look like in 4 different colorways . So what is the difference about the performance ? We will check it today . 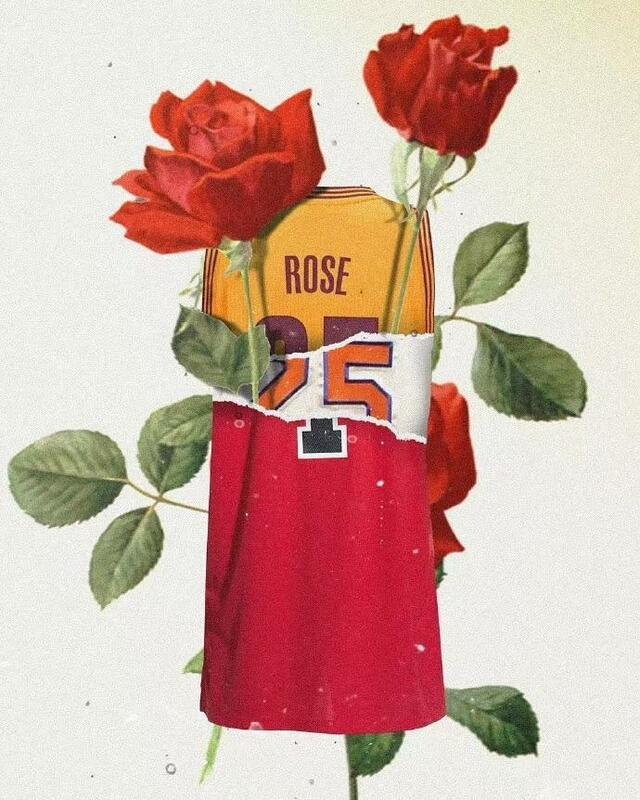 Personally I like the Rose very much ,his skills and his personal charming . I bought all of the Rose shoe ,such as the Rose 8 and Rose 9. So here we will make a performance review about the Rose 8 and 9. The 8th version used the of heat weld fuse material which double-edged sword. 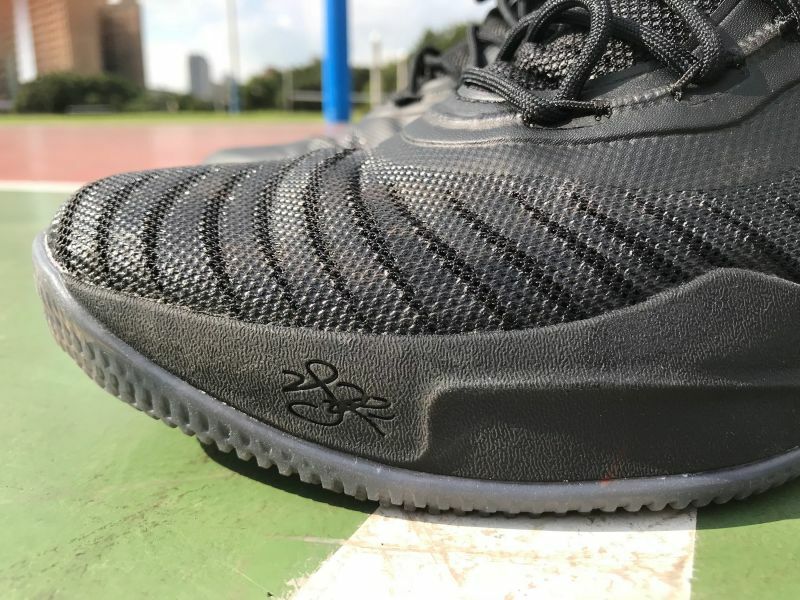 Although the comfort of the first foot is not as good as the woven fabric ,seems this material has been not very popular today , the support of the upper itself is very suitable for actual combat game , and the inner package is filled, especially It’s an ankle, it’s amazing! In terms of details, Ross’s LOGO is great on the tongue, slightly convex and three-dimensional.That is still cool. it used the Knitted uppers, with cross-stitch embroidery on the upper adds overall support. The version I purchased was the classic Chicago black and red color. The different orientations of the embroidery use the same materials and techniques, but the different textures are very fashionable. 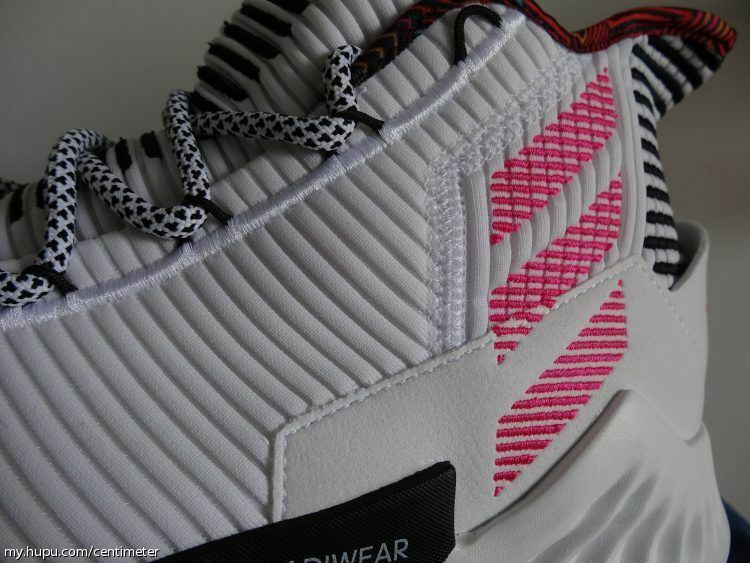 The large bounce outsole at the bottom give me a heavy sense .But actually the shoes is lightweight. Dont worry about it . The most amazing of Rose 9 is the heel part .The heel of the hard leather and the fabric is designed with a sharp shape before and after the release of the ankle. 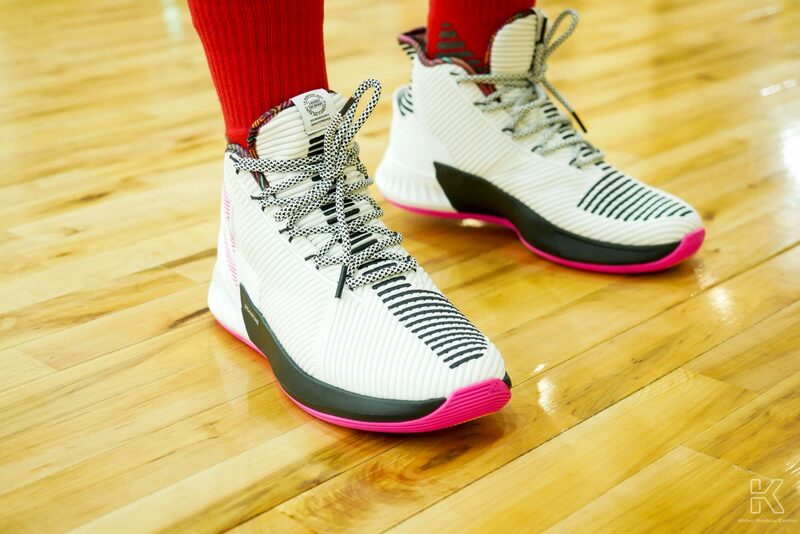 The outstanding Rose LOGO greatly enhances the recognizability of the signature shoe, even the logo and the front of the heel stripe. The stripes remain consistent, and one patient with obsessive-compulsive disorder expresses comfort. 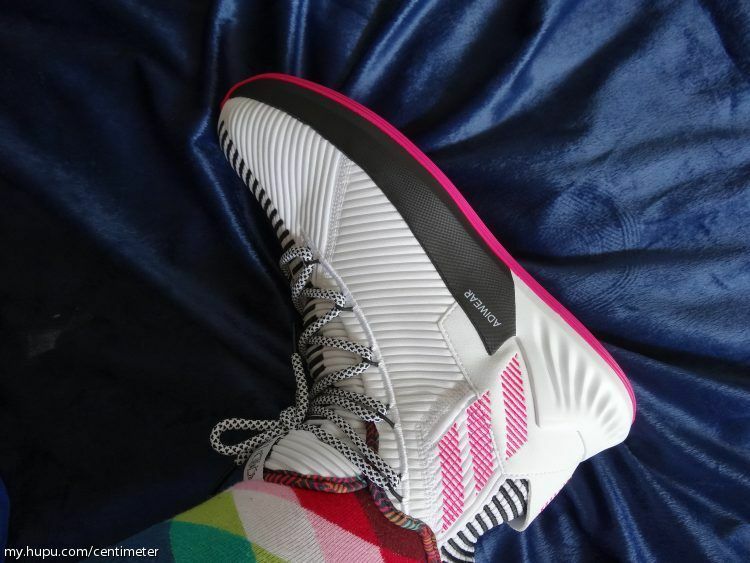 The Rose 8 will be more stiff , maybe the reason of size , the size will be more a little smaller, i got the painful when I was on the foot.Then real ankle support isn’t collar height, it’s all about heel lockdown and containment. 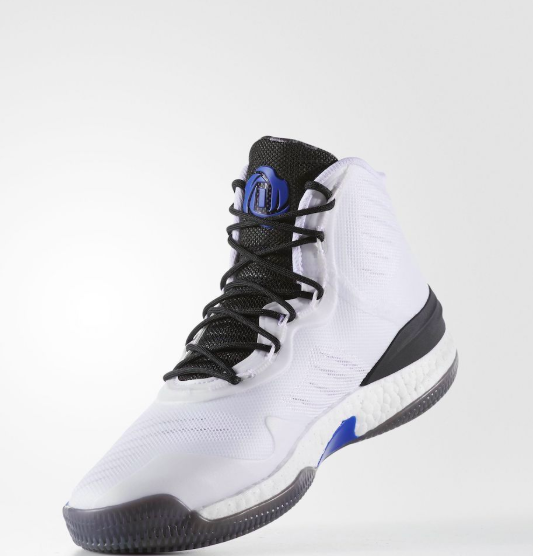 it worked well on that shoe and it works well on the D Rose 8 as well. 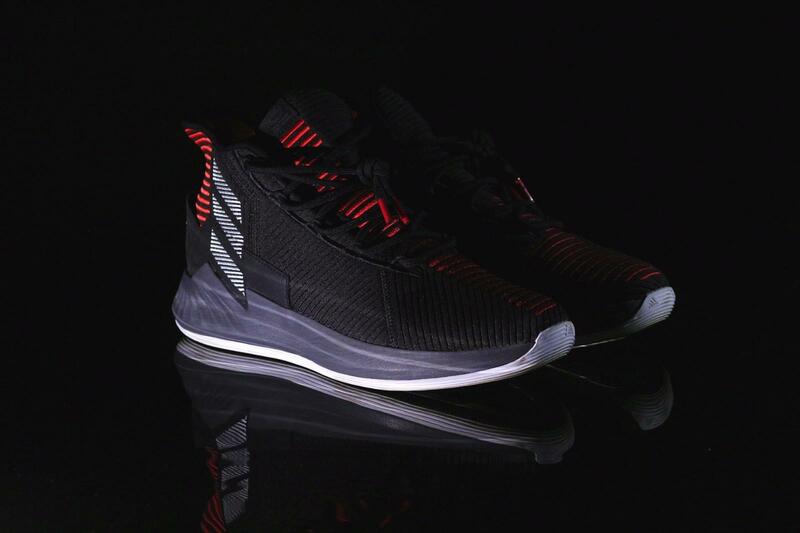 Stability is also on-point with the wider forefoot and lateral cage around the Boost. Then you have the upper which plastic and its a cheap stiff material, I don’t like the upper at all . 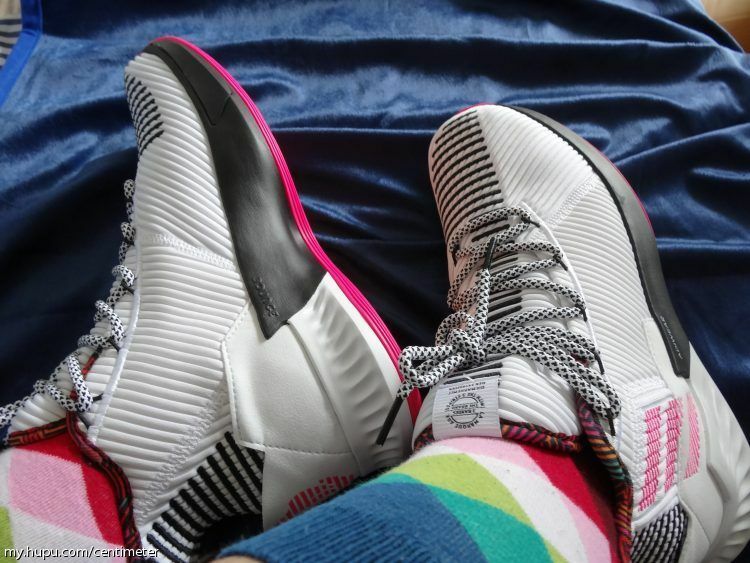 Wearing a thicker basketball socks will enhance the feeling of the package, but the size is very fascinating. It is longer and narrower than the usual size. I am wearing a EUR 43 sneaker, but the this size pinch is very powerful. Helpless can only choose EUR 44 , but the front is much longer, can only be solved by wearing thick socks. But for the Rose 9 , the fitting is well.I still bought the size EUR 43 .Then it was perfact great .The woven material has a much better Rose 8th of heath welder fuse materials . The lines and folds in the material give the Rose 9 a definite casual-friendly look and make the shoe passingly the most appealing Rose shoe ever (the Rose 3 may also be a contender). 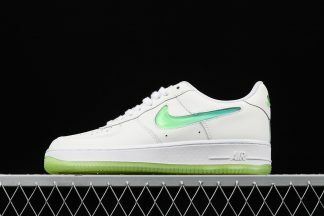 The sleek toebox and flared ankle collar look more street than court and it works on-foot. 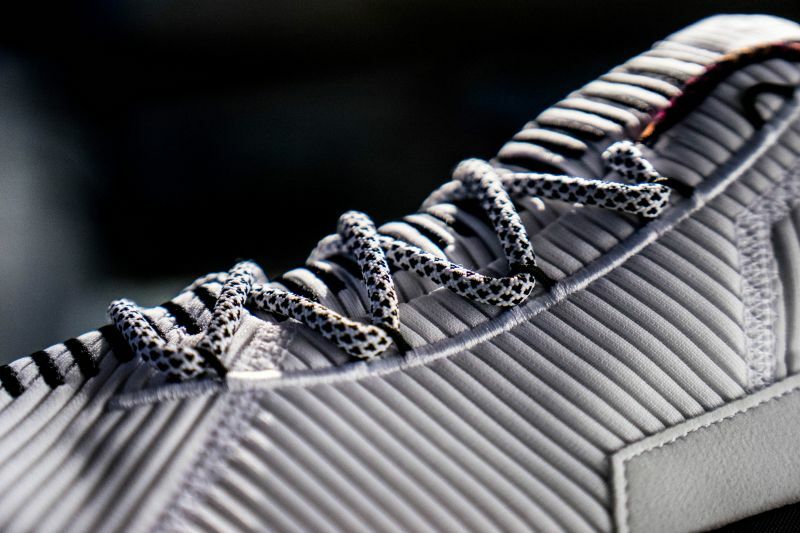 The stitched lines in the toebox and tongue are meant to provide a little extra support and keep the material from stretching laterally to hold your foot in place. 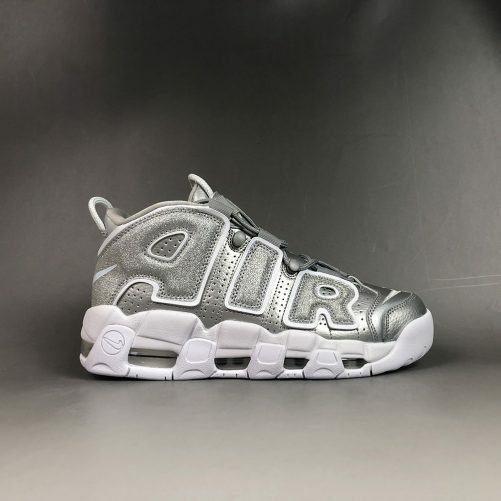 All in all , the supporting are nice ,The Rose 8 have a TPU protection and the wrapping is well .The side of shoe also have a plastic material to protection .The Rose 8 will be great . Rose 8: it is very great ! Really, the ventilation shoes will make you feel your feet breathing, and there will be cool winds in the running process. I don’t like this breathable feeling in wind. 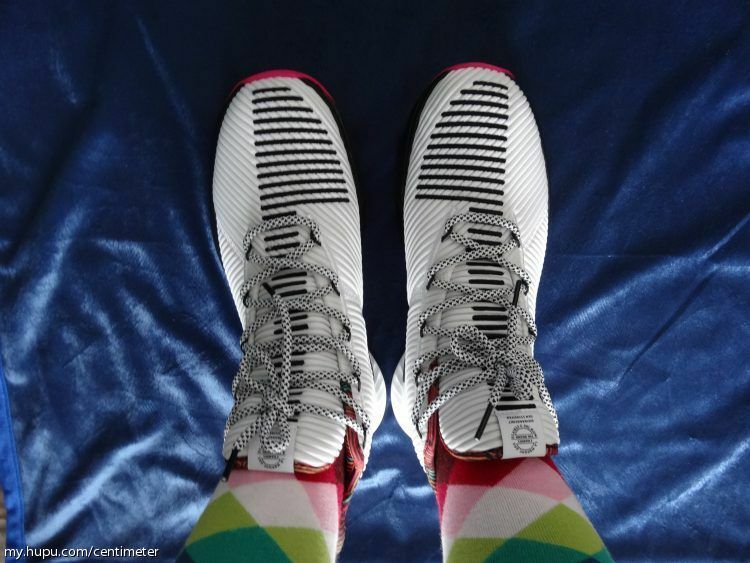 For the Rose 9,the Ventilation is also great .The fabric weaving density at the front end of the pair of sneakers is definitely thinner than the foot and heel.and we can feel the wind . 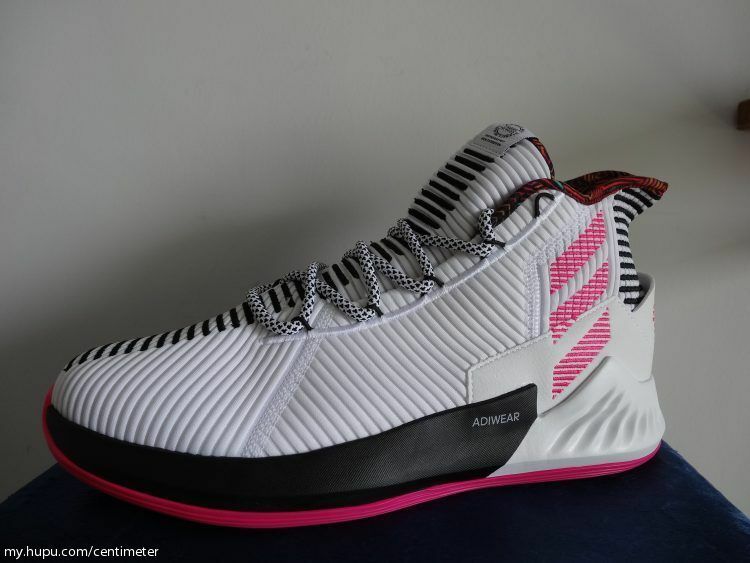 Rose 8 : That was a letdown because traction has always been a strong attribute in the D Rose line. 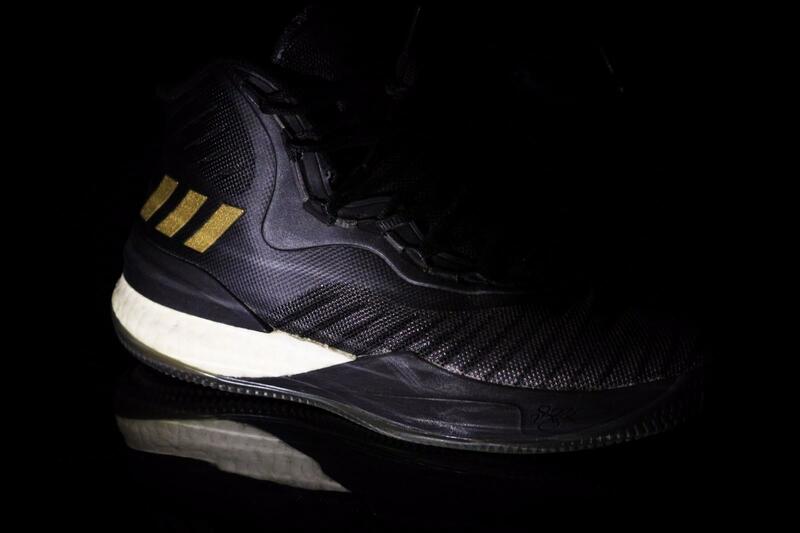 As a player that relied on his speed and agility he needed a shoe that would be able to keep up with him from the ground up.and the performance is amazing . Grasping the middle and upper level, but the too fine and too dense sawtooth is simply a pebbles vacuum cleaner, and it is difficult to clean up, so there is a problem. 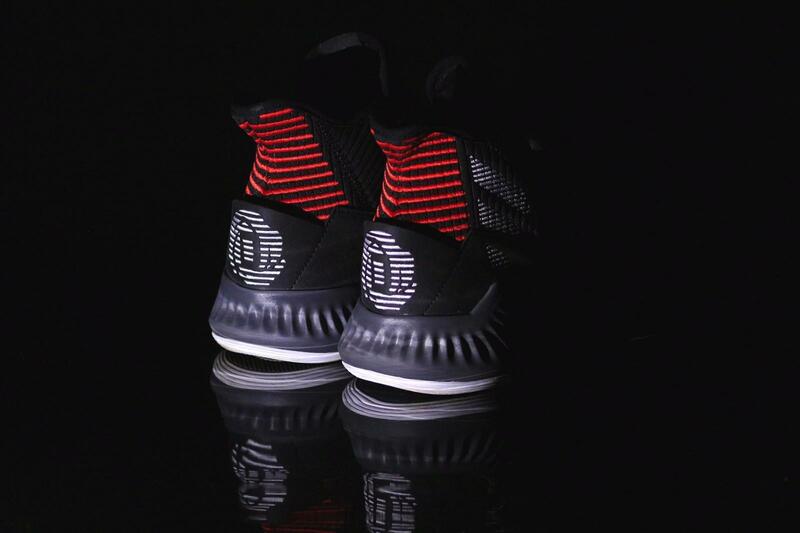 This sneaker can only be used exclusively for shoes. If it is like this, it may need to be in rubber. 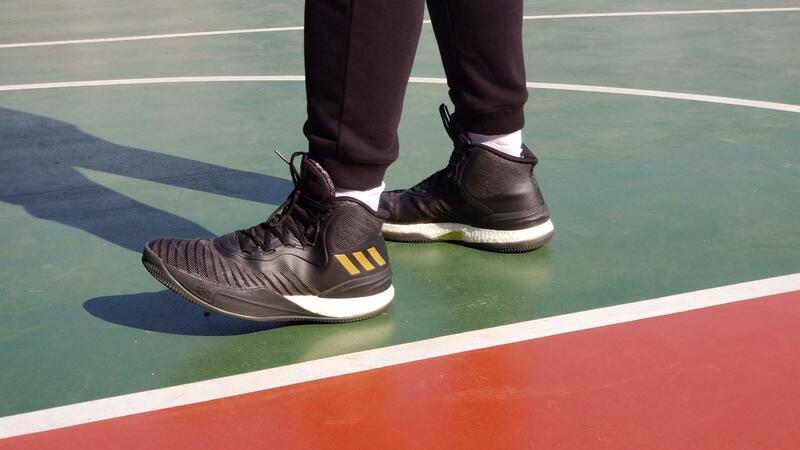 It is also used after the best cleaning of the students who play in the plastic floor and go to the wooden floor, otherwise the dust will always be absorbed on the sole, which is not good if it slips. Ross 8 will definitely attract a large new fans , that is a true . 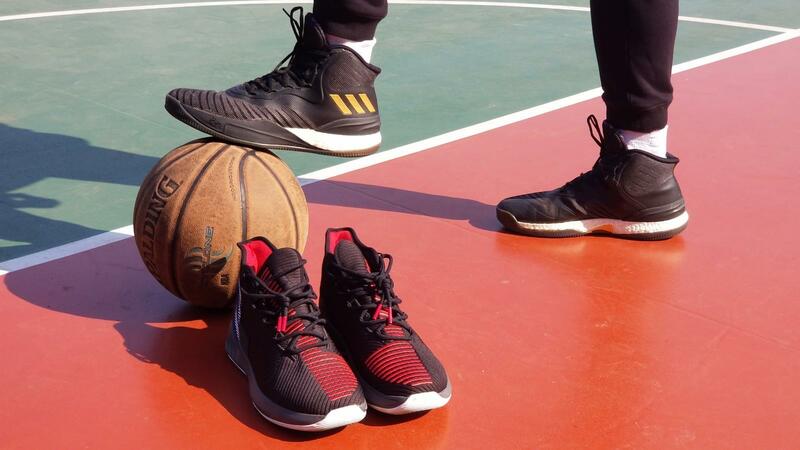 but the forefoot is solid and enough to playing , the back sole material is thick enough to cushion, and the whole palm boost is very tough.While I enjoyed the low profile setup on the Harden Vol 1 and the plush setup on the Crazy Explosive, there is something about the Crazy Light 2016’s midsole that just feels like its the perfect blend of both. Rose 9 , The full length BOUNCE material is very practical for the breakthrough .Then the site feels clear, and provides strong support for quick start and change direction. Just looking at the sense of the venue may make the students who are looking at the assessment very confused. According to my experience ,I felt the bottom of the foot is really too thin.but that is great . 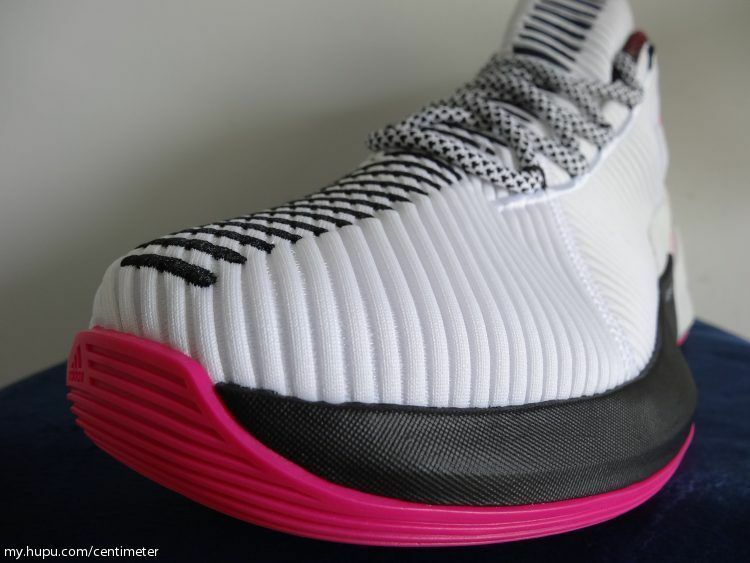 But there are the bad new for the upper of Rose 8 if you playing longer ,Because of the material of Rose 8 .If it is this material, shape of the Rose 8 generation, this situation is inevitable, because size fans must wear thick socks to strengthen the package, wearing thick socks, the pressure will increase, so the outer hot melt plastic material must be more. The secondary bend and the internal and external pressure break. Then the shoelace is round and has a great chance of being broken. If you don’t tighten it when you play, there is no wrap, it is easy to pull off, even if it is careful, the shoelace will be pulled for many times.it was be broken . I like the Rose 9 be better ,the Rose 9 should work for you. If you require absolute lockdown and take-no-prisoners traction, you might want to look elsewhere. 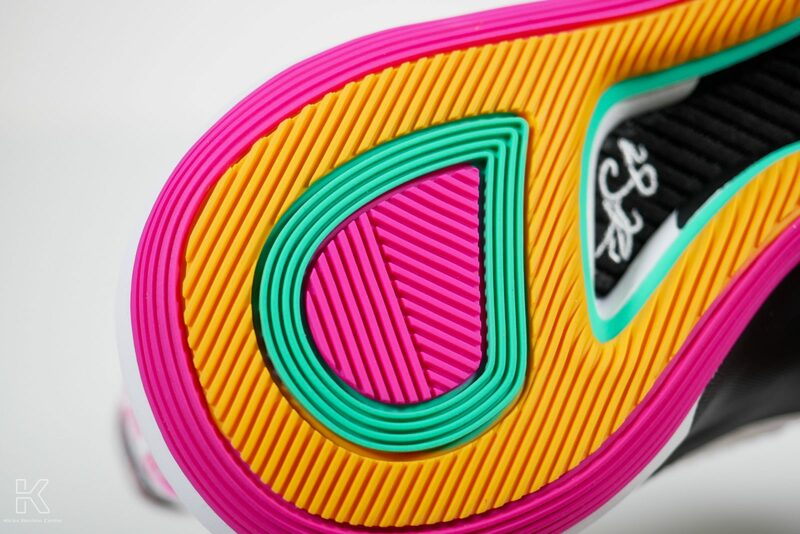 For the Rose 8 ,the forefoot is primarily mesh with foam acting as the structure. It isn’t anything new but it allowed for a lot of mobility and flexibility in the forefoot area, which is great. But I don’t like the upper of Rose 8 . 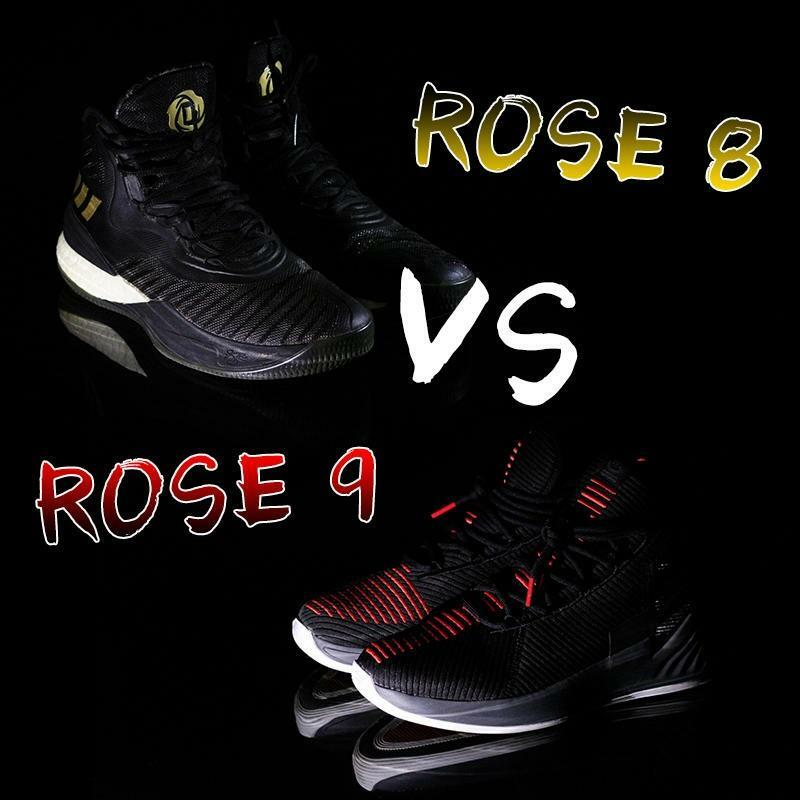 Overall ,there are different between the Rose 8 and Rose 9 , but overall performance are nice .So which shoe will you be like best ? 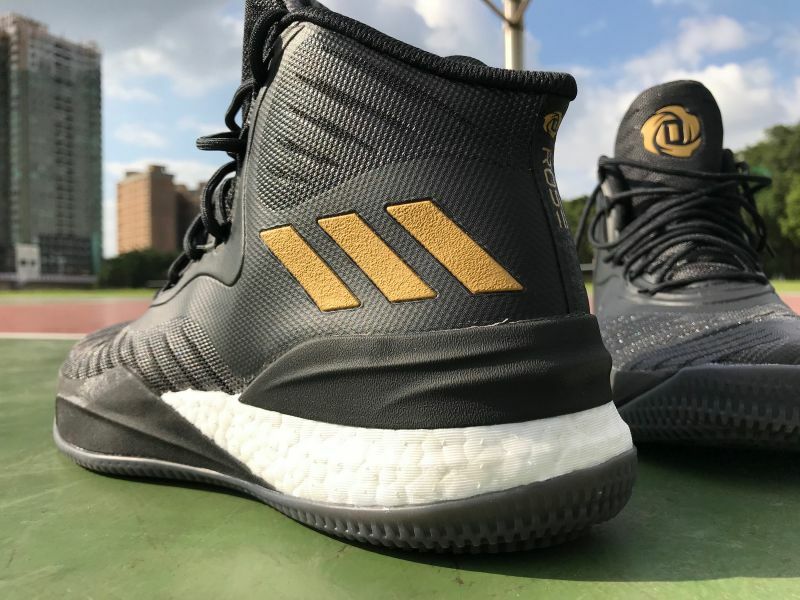 Although there are without special shoe boxes than the other brands , the Adidas still released ninth generation of signature shoes–D Rose 9for Derrick Rose. 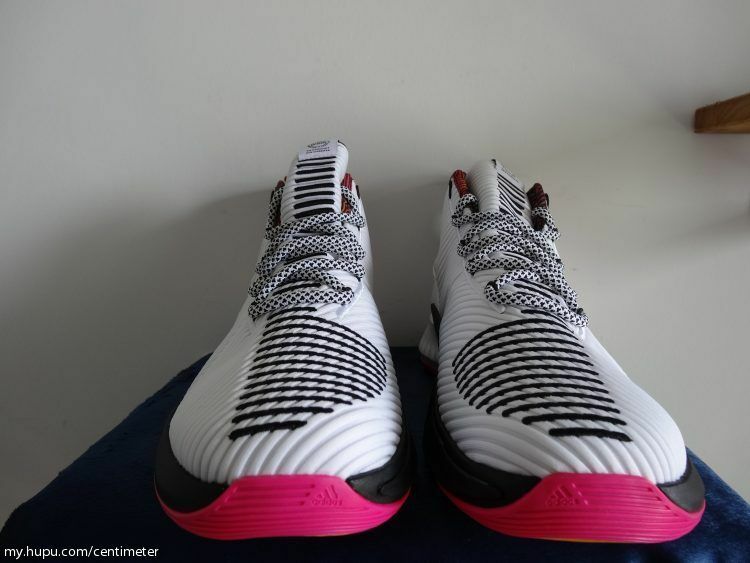 Even if this model of shoes without the Boost cushioning midsole , but this one still as the Rose shoes,so more people will have more expectations for its performance! 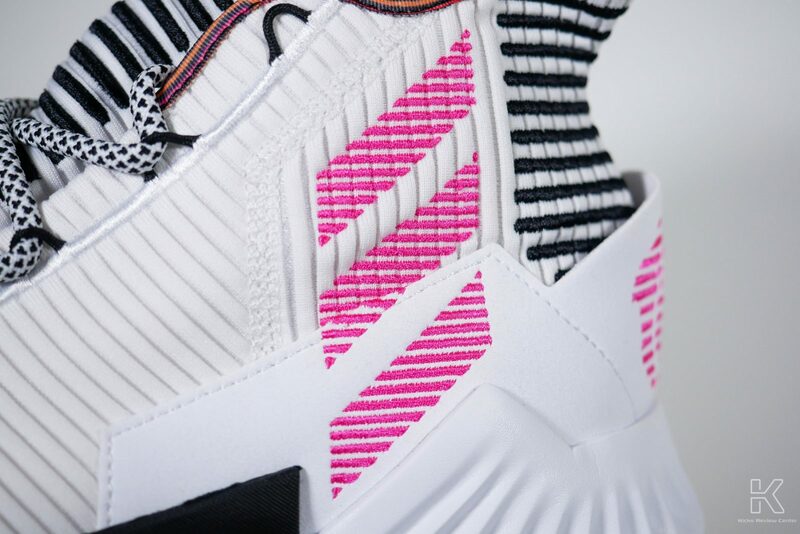 The rubber material of the Rose 9 outsole uses ADIWEAR, which emphasizes wear resistance.The D Rose 9 outsole is a multi-directional line stripe with a change in the grain direction and style of the front and back foot areas (pink block). 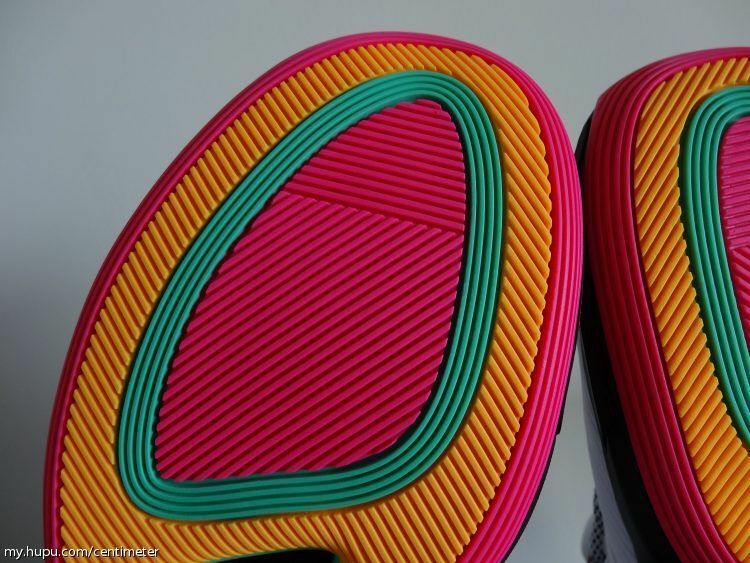 The material of the outsole is not sticky , but it has the ability to “bite” the floor unexpectedly. It has an excellent ability to be impatient, and it can be steadily and instantly caught after several tests. However, the grip of for the lateral (left and right) grip just not as good as before and after. 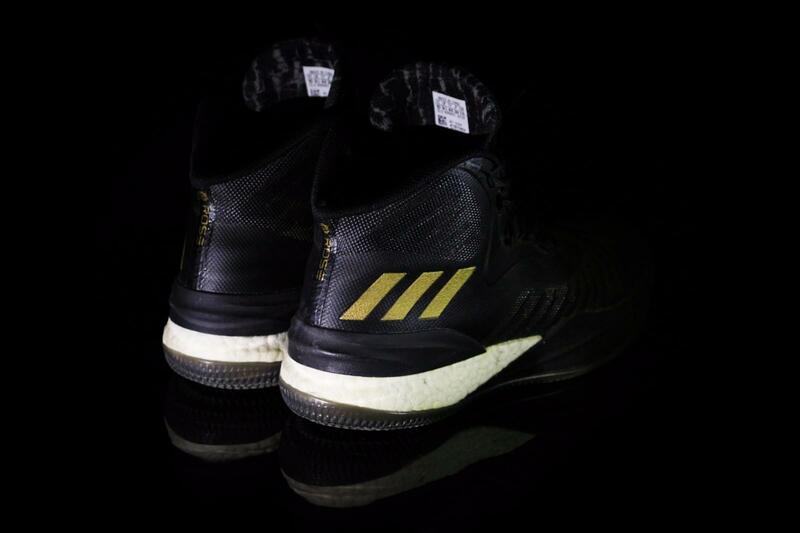 This is a special rubber material with strong abrasion resistance of the Adidas .this kind of rubber used to in tennis and jogging shoes. 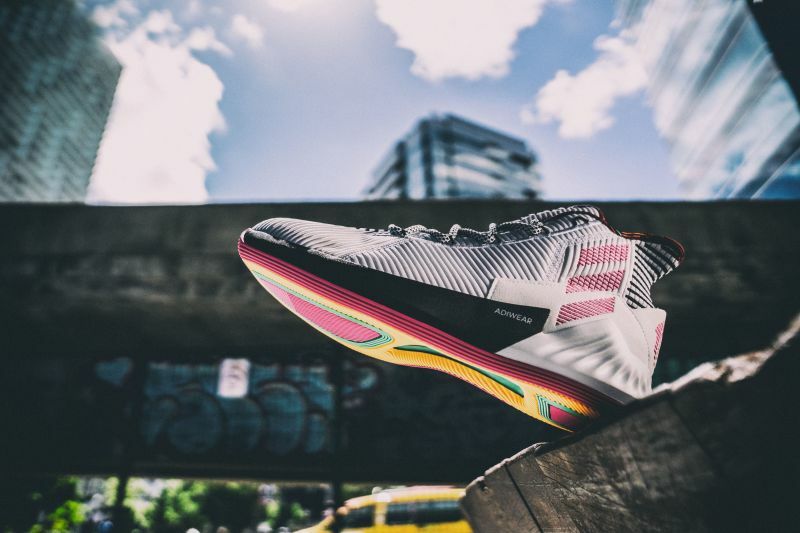 So the traction of D Rose 9 can really be described as “stunning”. 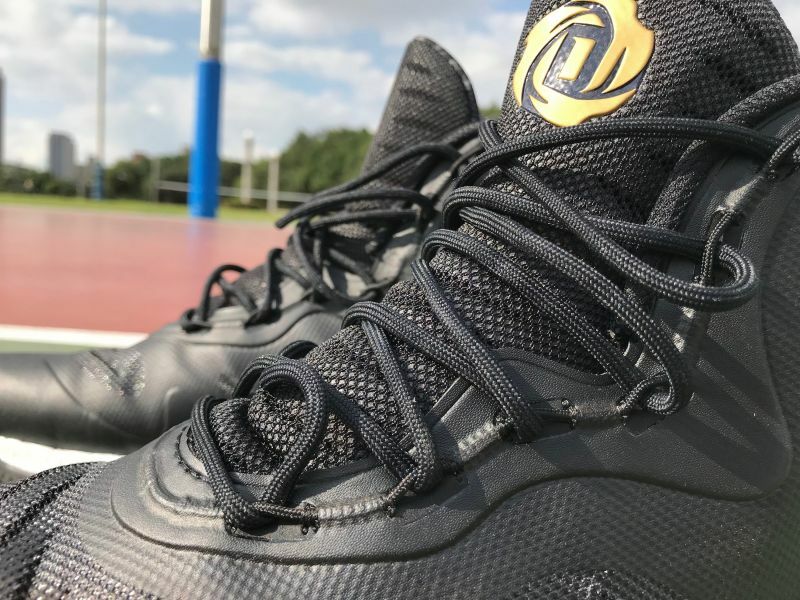 Many shoe lovers have asked me about the effects of other brands of wear-resistant rubber, I have just nothing can recommend .But wear resistance of ADIWEAR is indeed a substantial increase compared to the average basketball shoes. 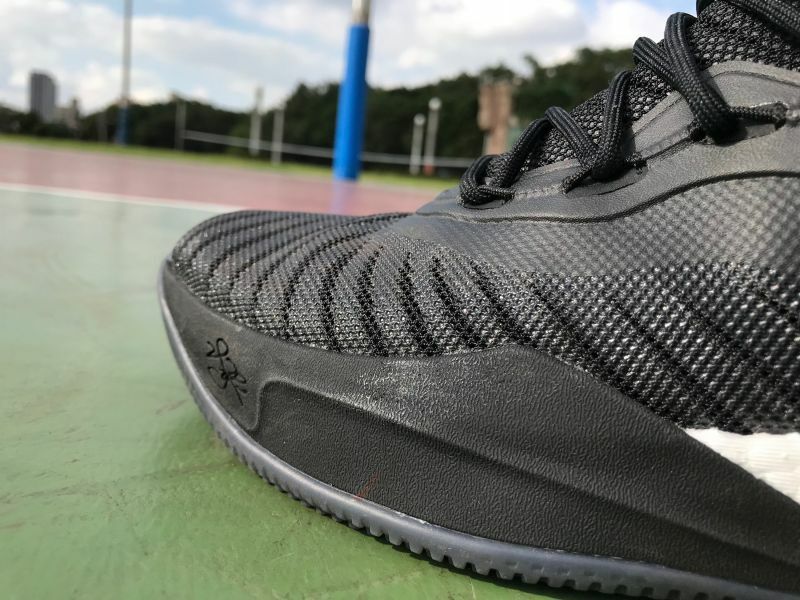 After about three or four time tests ， whatever the outdoors and indoors court,I found the shoes is durability ,it without any trace of damage. 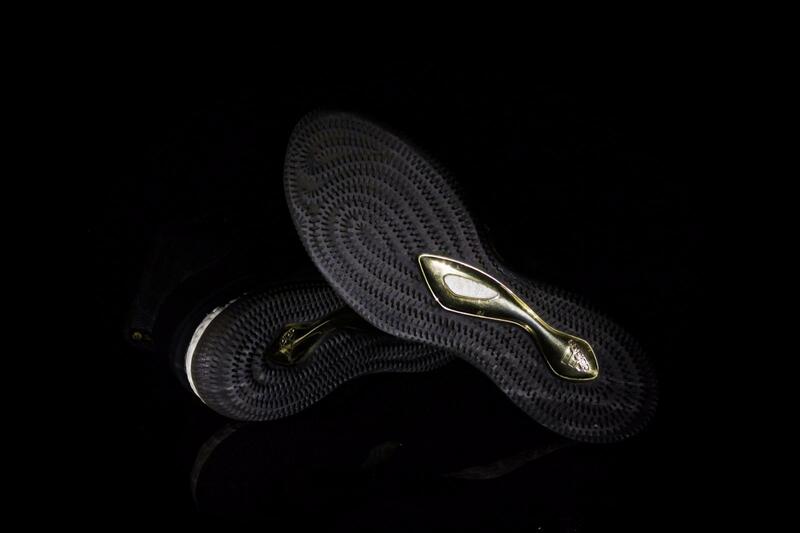 However,we need to pay special attention to the influence of dust on the outsole. 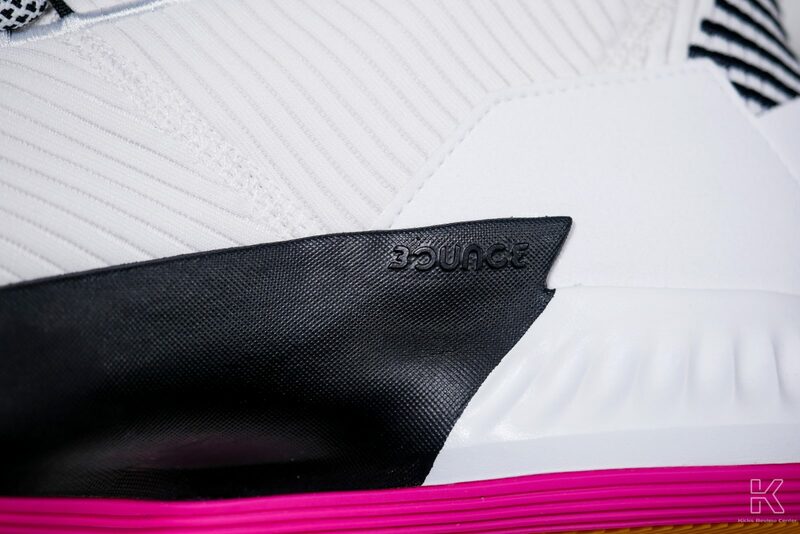 Although the outer layer of D Rose 9 is very wear-resistant, as long as the material is too sticky, the overall grip will drop very much. 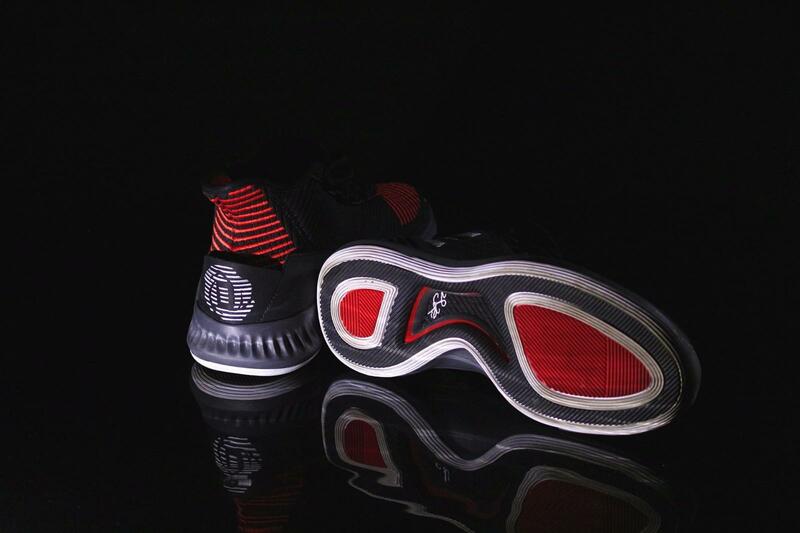 D Rose 9 canceled the Boost midsole from the 5th version ,the Arose 9 used the Bounce midsole of the full foot. 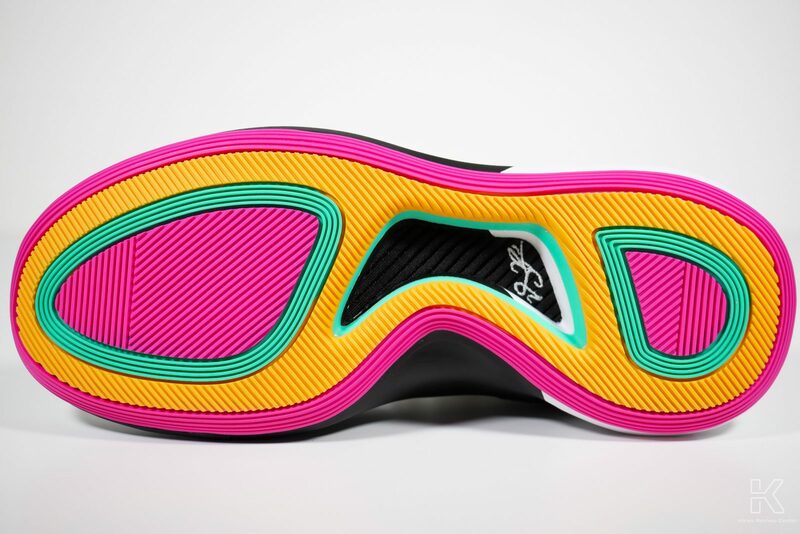 Bounce has had a good evaluation performance since its inception, but D Rose 9’s Bounce feels slightly harder. 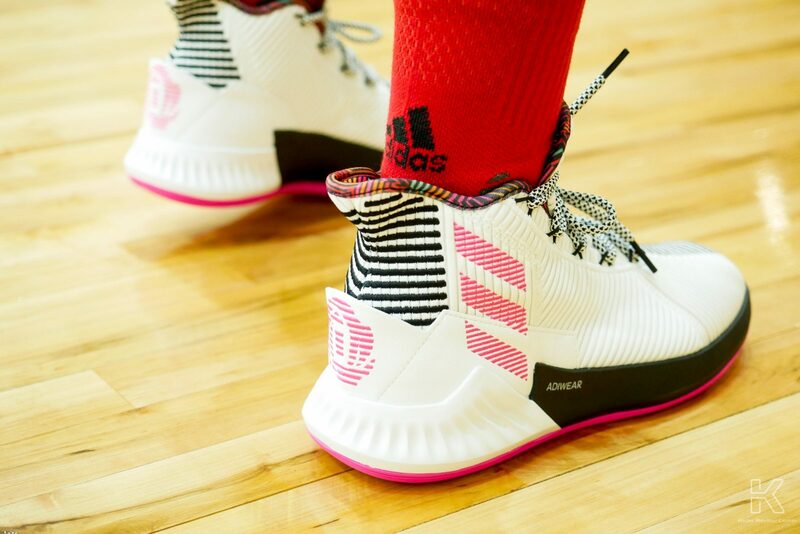 Compared with the same brand of Dame 4, it lacks Bounce’s feedback , especially in the forefoot area. Obviously, due to the thinner relationship between the midsole, the overall combat feeling is closer to the previous EVA or adiprene. 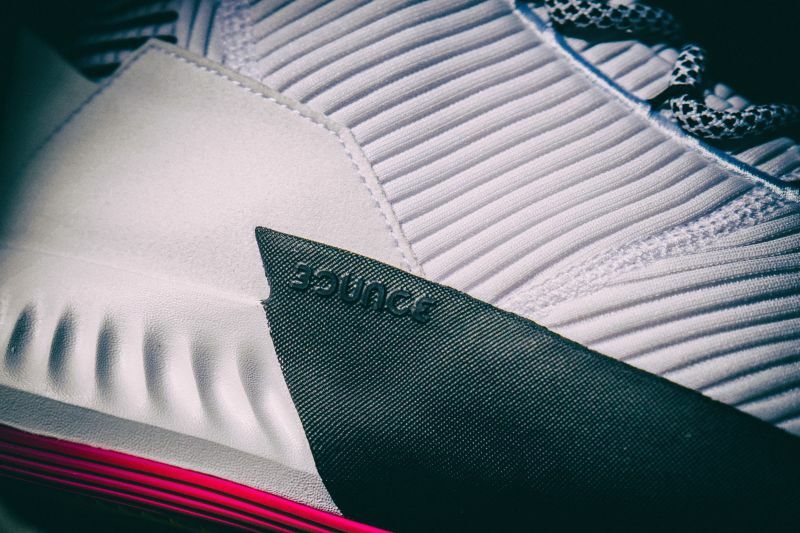 Bounce is an excellent midsole foaming material, but the biggest problem is the “thickness”. If it is too thin, it will lack the cushioning ability. If it is too thick, it will lose the feeling of sticking to the ground. 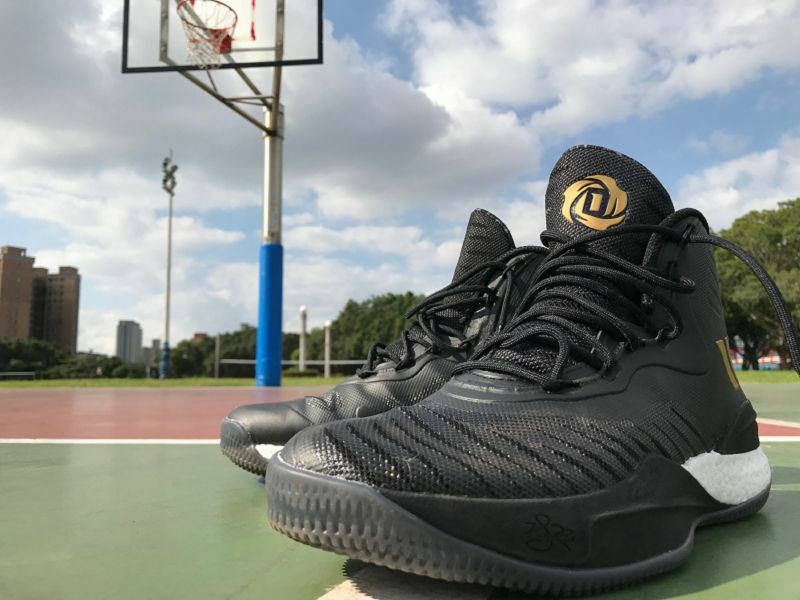 I think D Rose 9 will be more thinner, in addition to its inherent advantages of not too soft material, and D Rose 9 has a brilliant performance in the start-up response. 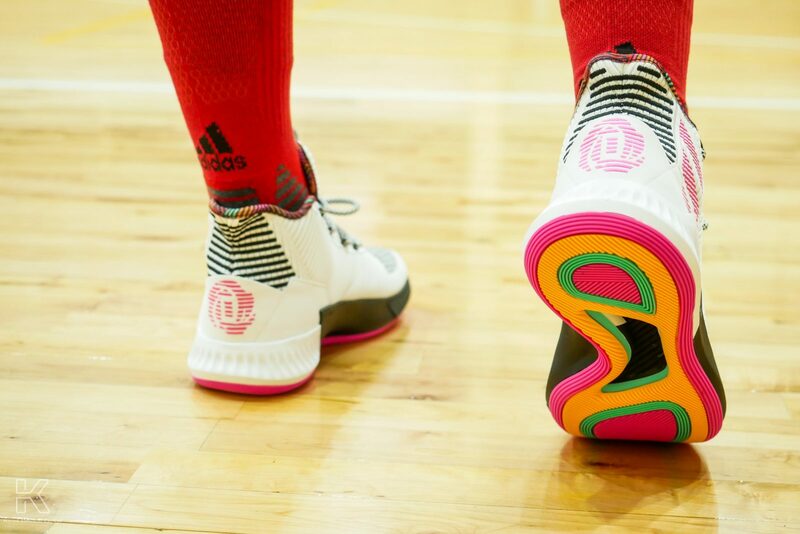 The D Rose 9 version is a little wide and long. There is a lot of extra space. 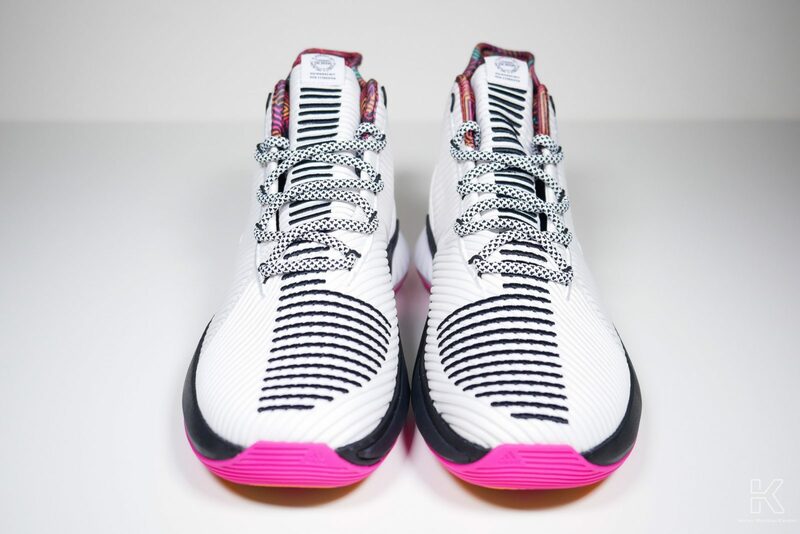 In addition, the outer design from the front upper to the top of the tongue is larger (slanted), and the inner side has almost without filling, so that the tongue can not fit the instep closely. We recommended that you can choose the small a half size .For me, the small half size of the this shoe is just fit my feet, and there is still a space in front of the toe; The wide-shoes are recommended to try on from the small half; the narrow-footed shoe friends, because the extra space problem is difficult to solve, it is recommended to skip the shoes directly. 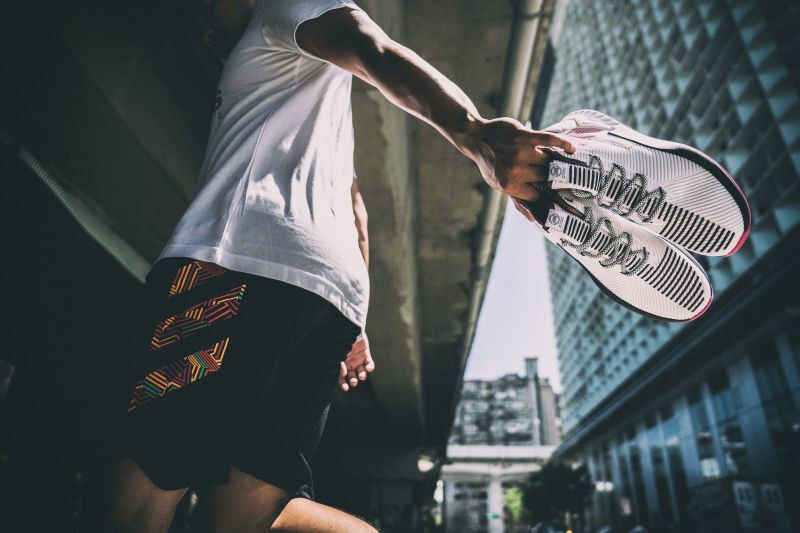 A BOOST-equipped sneaker will cushion your foot with each pound of the pavement, before it springs back and returns the stored energy into your forward momentum. Although it might sound like a bit of cheat, it’s really just the result of some very clever thinking. 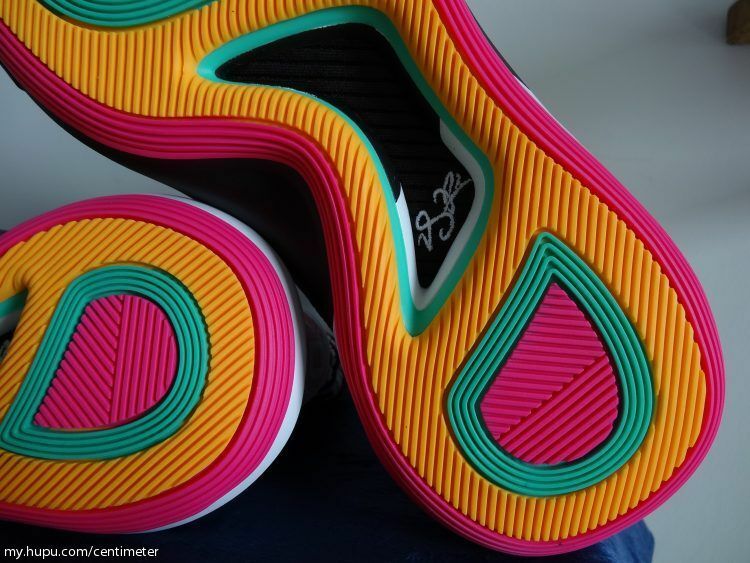 The traction pattern is great .The rubber material of the Rose 9 outsole uses ADIWEAR, which emphasizes wear resistance. 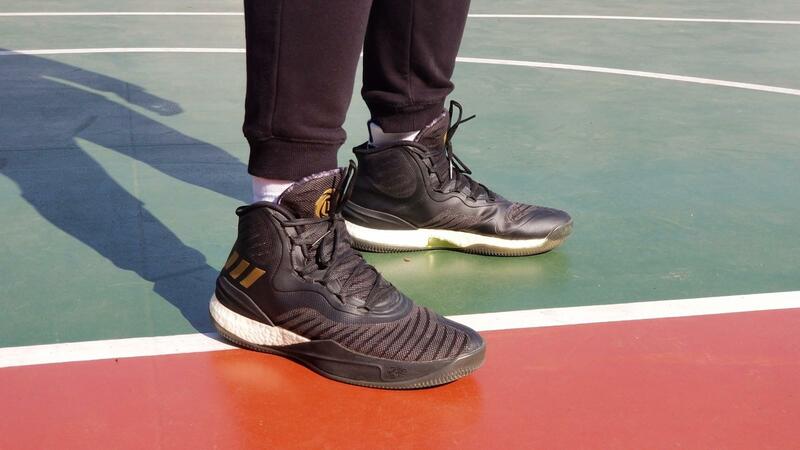 In this test, I tested it in outdoor court. Except for some dust, there is almost no wear and tear, I felt great for the grip . With the combination of price and comprehensive technology. 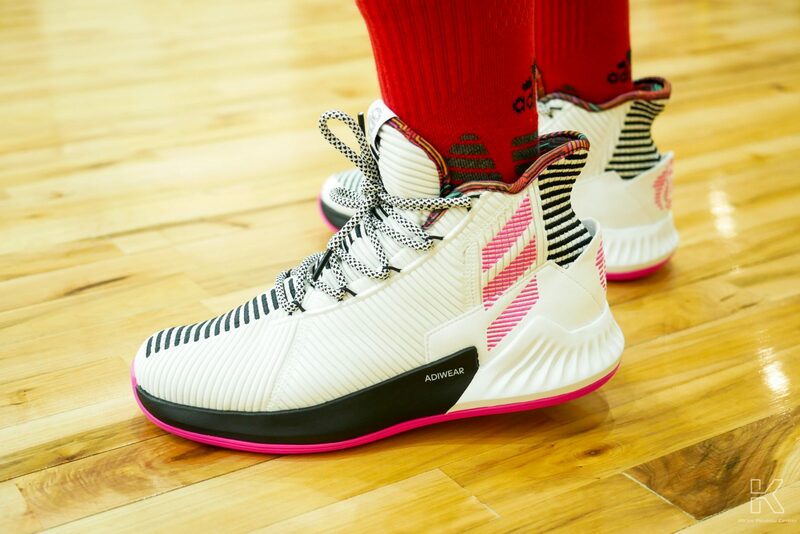 Overall,adidas D Rose 9 is nice shoe. 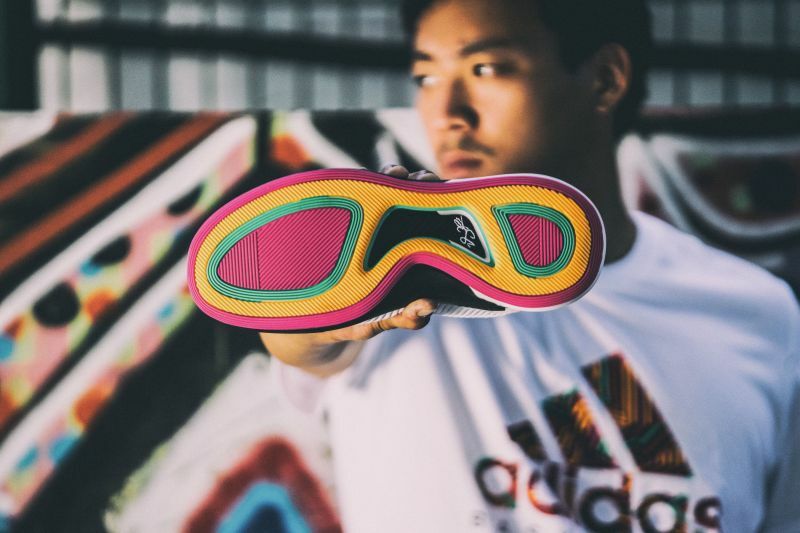 In terms of functionality, the Bounce cushioning effect of the same thickness as Boost, but the Boost will be more great, the material is nice and all over the function is nice . 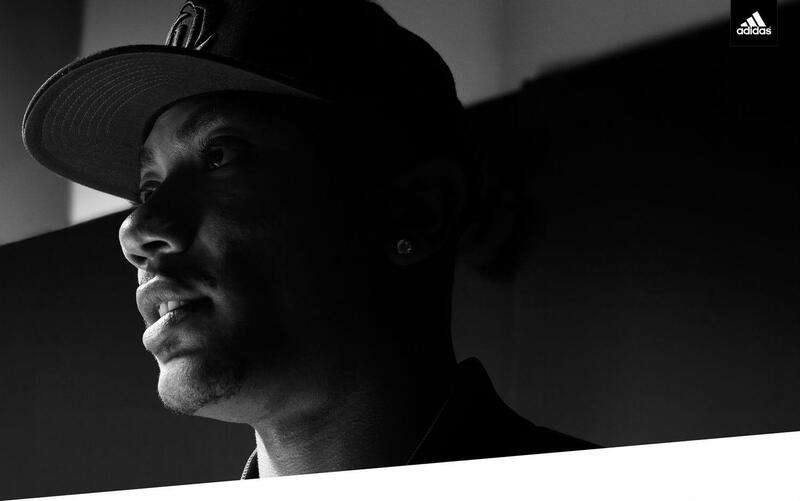 Derrick Rose ,he led the Memphis Tigers to the most wins in NCAA history (a 38–2 record), their first number one ranking in 25 years, and an appearance in the NCAA championship game. he is amazing.Is it his shoes help a lot ? 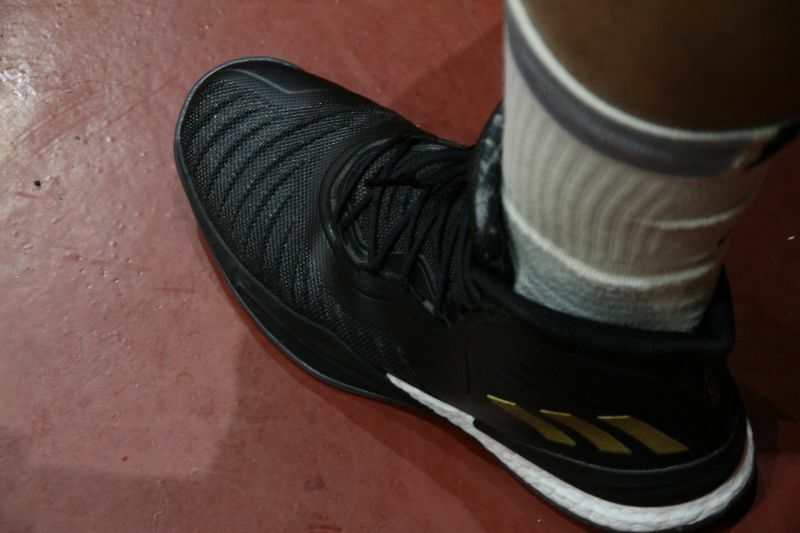 Adidas D Rose with black, gold and white colorway. 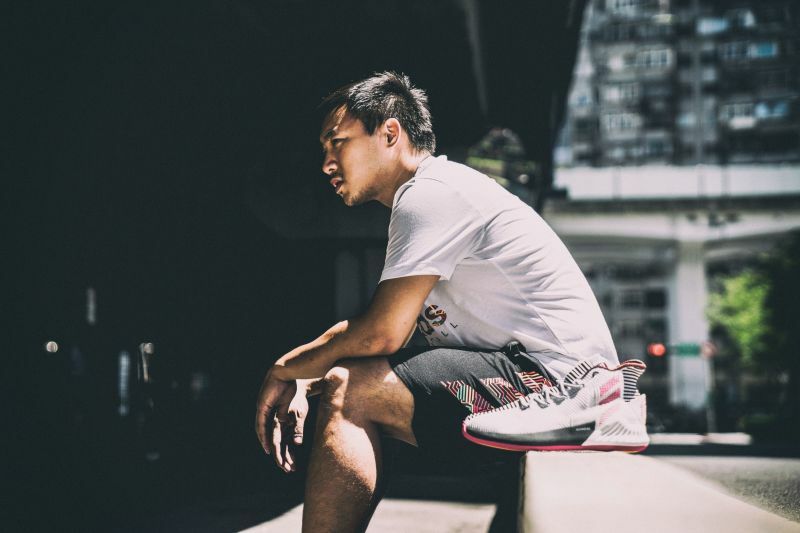 A departure from some of the more elaborate designs from earlier in the line, the D Rose 8 is a fairly simple high-top constructed with mesh and synthetic materials. 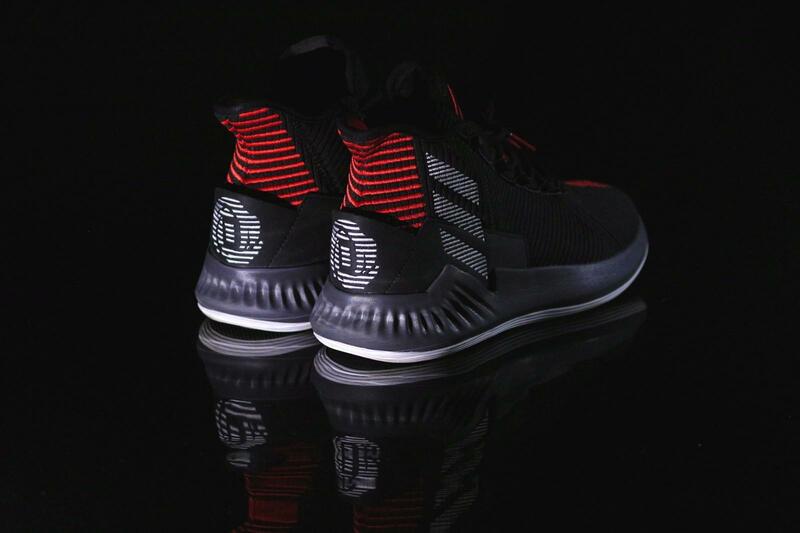 D rose with a solid TPU fixing piece with a heel. 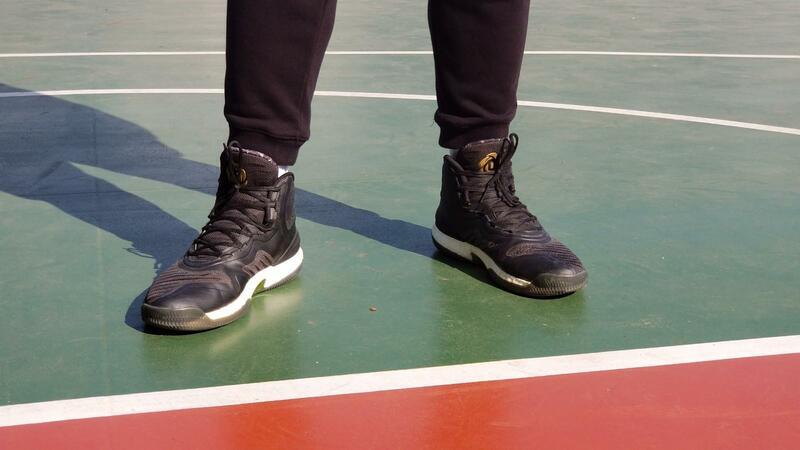 Because I am used to wearing high-top shoes, there is no discomfort after the upper foot. Instead, I feel the full coverage of the ankle. My feet step on the other’s footboard when I changed direction once game. 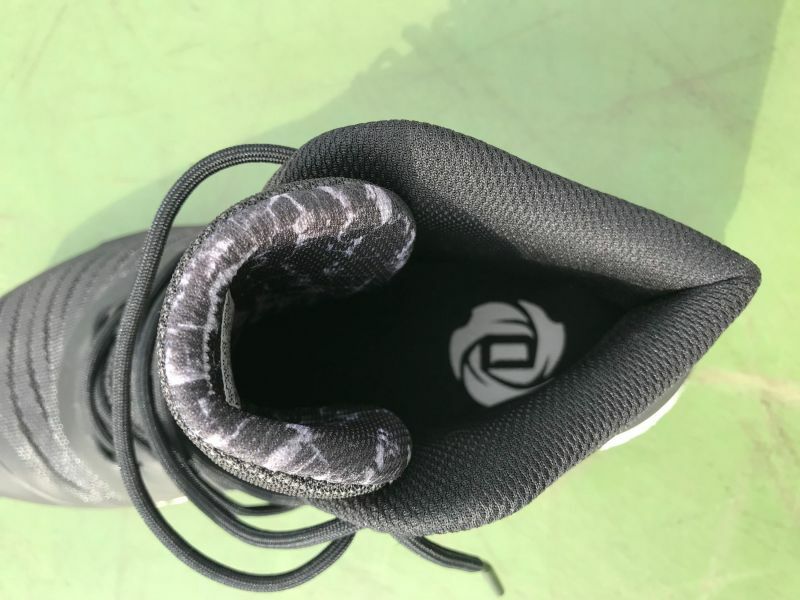 The ankle was pulled straight when it was close to the twist, so I can keep going on but no any heart.That is amazing , so the protection of D rose 8 is nice . 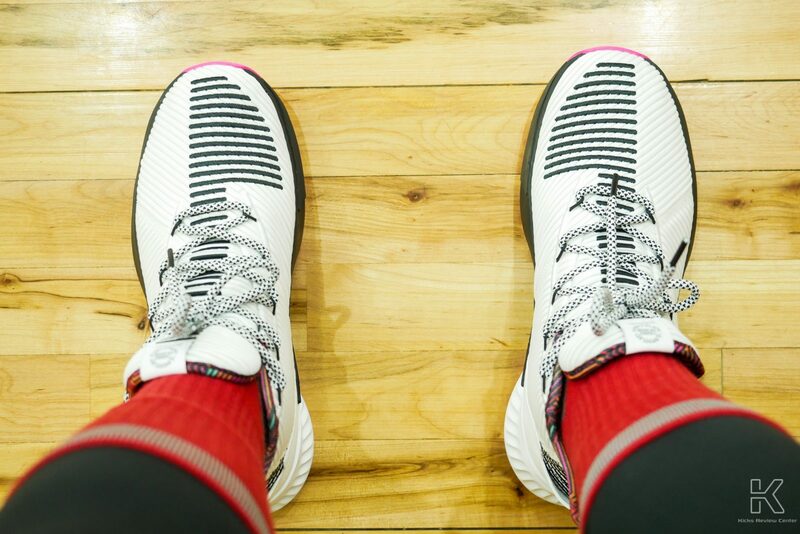 It is worth mentioning that the D Rose 8 shoe is not used a popular sock-style design in recent years, but it designed by feet and ankle , that is for providing a great protection. This design allows the sides of the shoe to tightly clamp the ankle. there is a phenomenon of slipping before and after, and this part is my feelings . I tried to move left and right, I quite appreciate the anti-rollover system that firmly grasps the forefoot to avoids overturning. This part of the film from the bottom grip shows that even the upper is not deformed. For the traction :The traction is amazing .Grip is the most important for me. 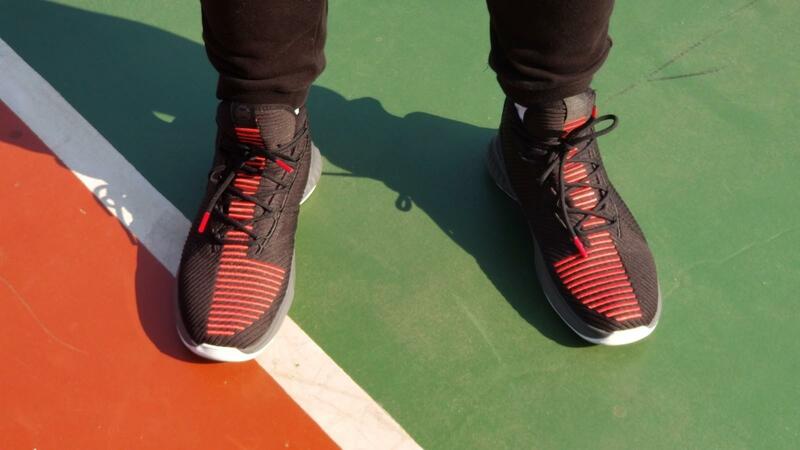 Not only in the indoor clean court, but also on the outside, the gear-shaped engraving of the sole can effectively and conveniently eat the ground.But I found the traction will be more worn out quickly. 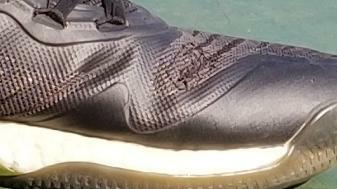 There a gold Adidas logo in the bottom. 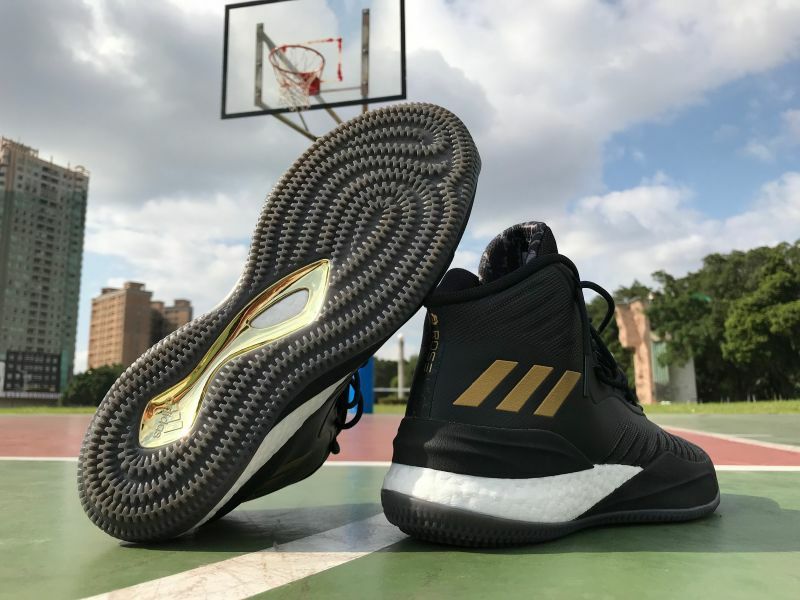 For the cushioning : Boost is used on the D Rose 8 and it’s the same exact Boost slab we saw used on the Crazy Light 2016,but i want to say the D Rose 8’s Boost is harder and more resilient than the Crazy Explosive series,but there is something about the Crazy Light 2016’s midsole that just feels like its the perfect blend of both.It’s top tier cushion in terms of impact protection and it doesn’t sacrifice stability or much court feel. 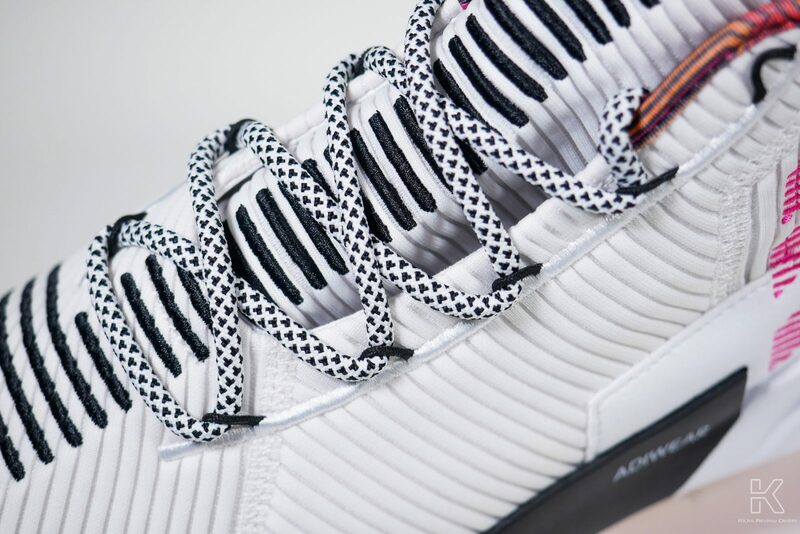 For the lace system ,D Rose 8 uses a high-density, thinner shoelace, which is also a pretty good configuration. 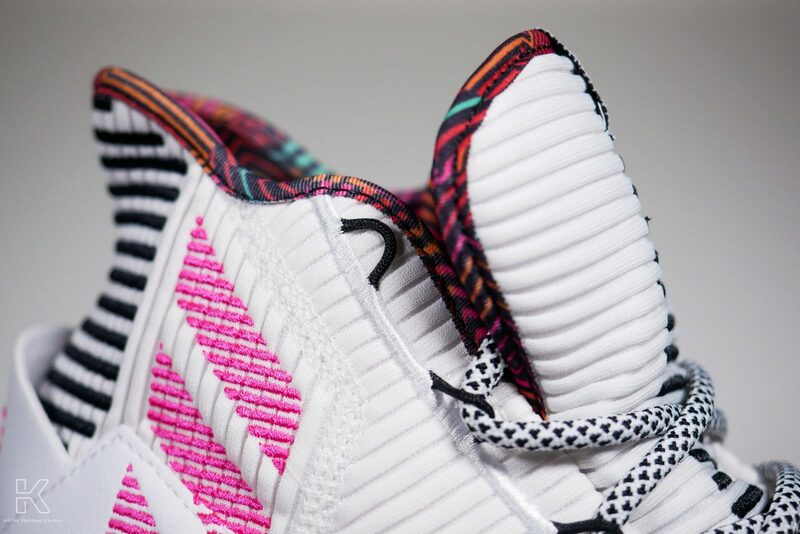 First, the narrower the shoe tube will cause the back-sliding phenomenon to improve, and the tongue is a comfortable GEOFIT foam material ,then the thinner laces can be wrapped tightly on top. 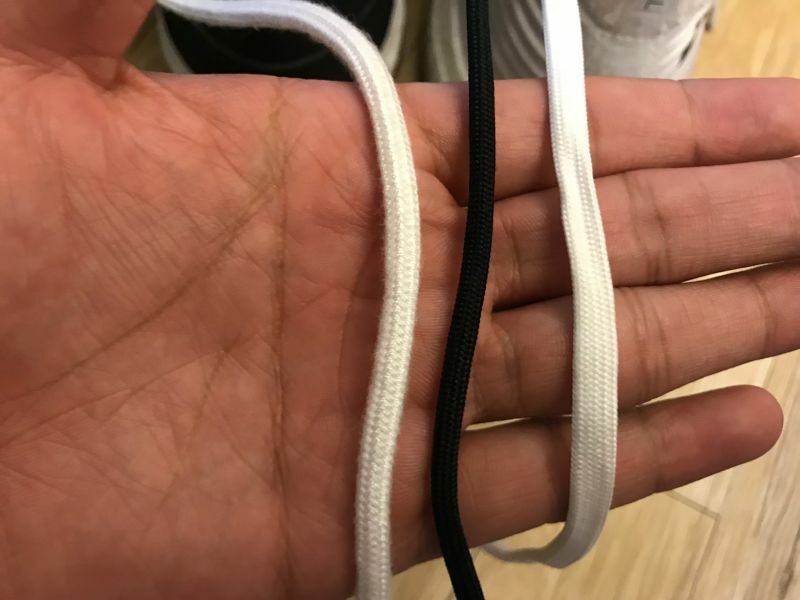 The D Rose 8 shoelace (middle) is thinner than the Adidas series of shoes, with Dame 4 ( left) and Crazy Explosive 2017 on the flat side. 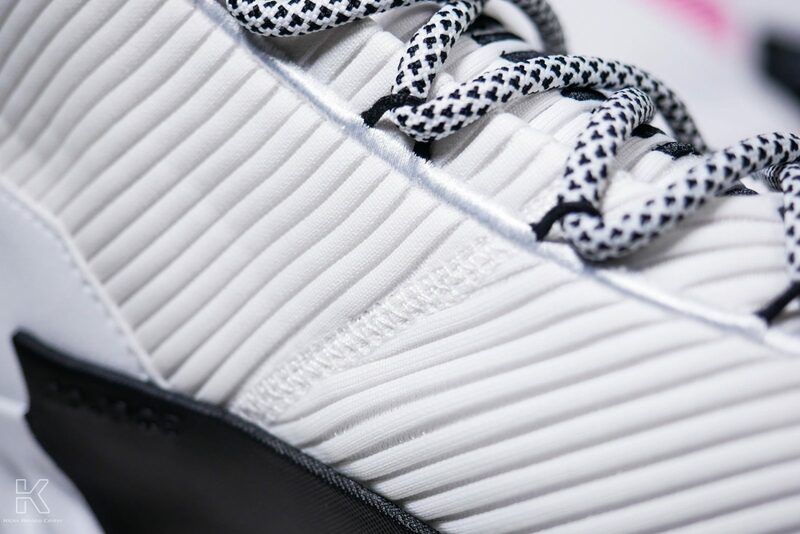 We can see clearly that then the thinner laces can be wrapped tightly on top of GEOFIT foam material. For the Responsive : In order to achieve the highest degree of protection, the flexibility is lower than the pure low shoes . 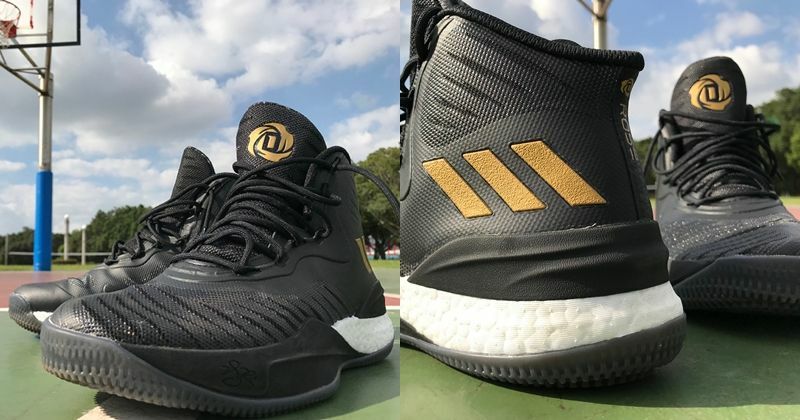 Of course, D Rose 8 will be less for the flexibility part. 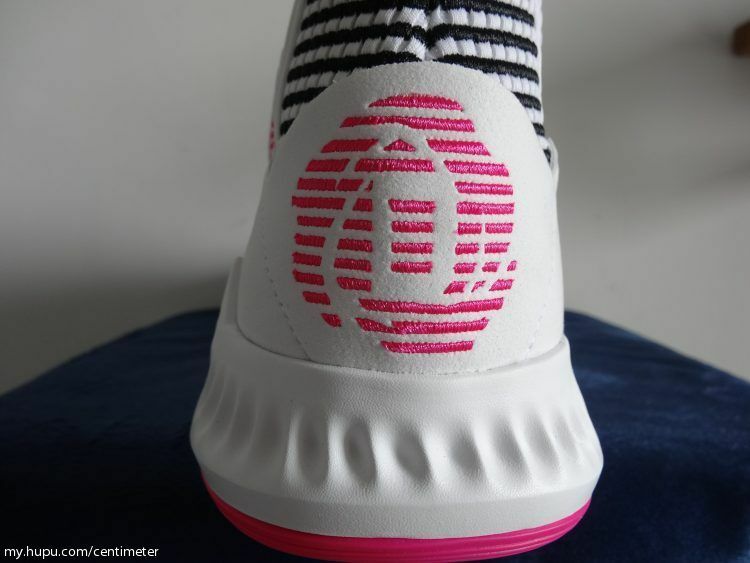 I believe the design team has found this situation, so they use the outsole to make appropriate improvements. 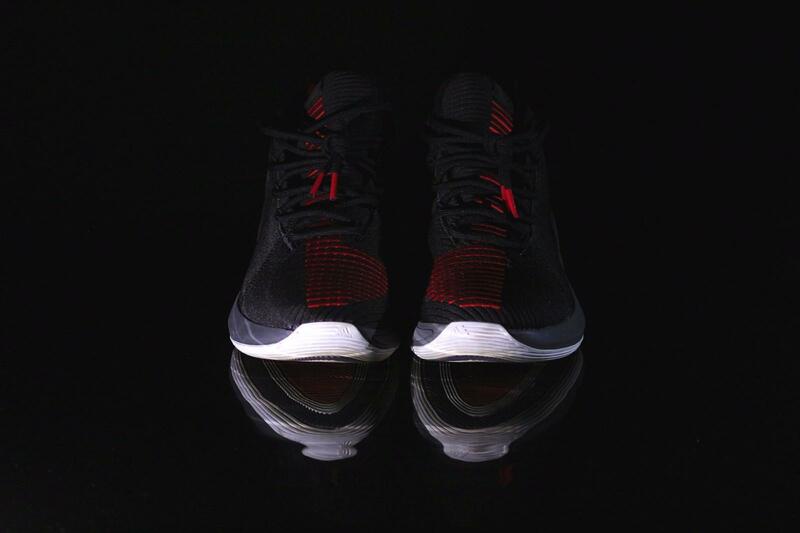 First of all, the sole is made of hard rubber material and matched with Boost’s original performance. 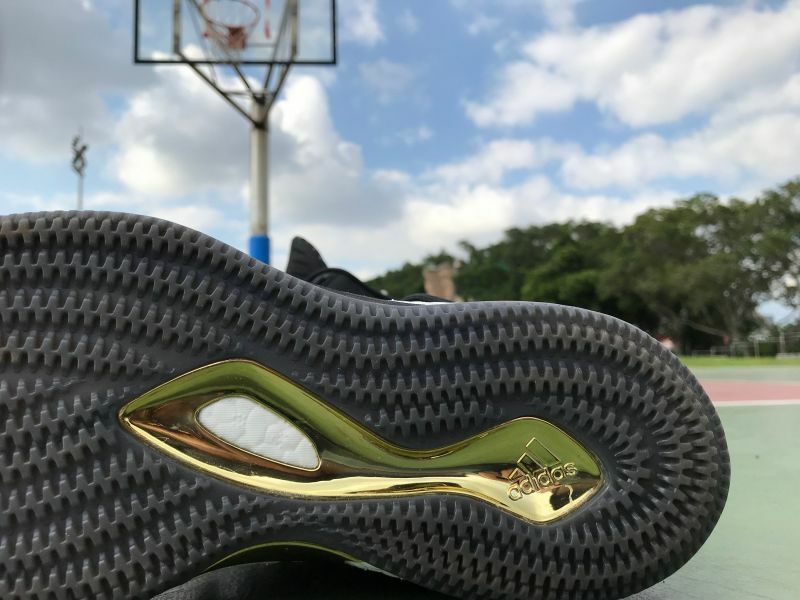 After testing, it is found that as long as the energy of the whole shoe can be transmitted to the sole of the foot, the flexibility will be further improved, such as jumping or playing. When we striding forward, we can felt more feedback from the sole . 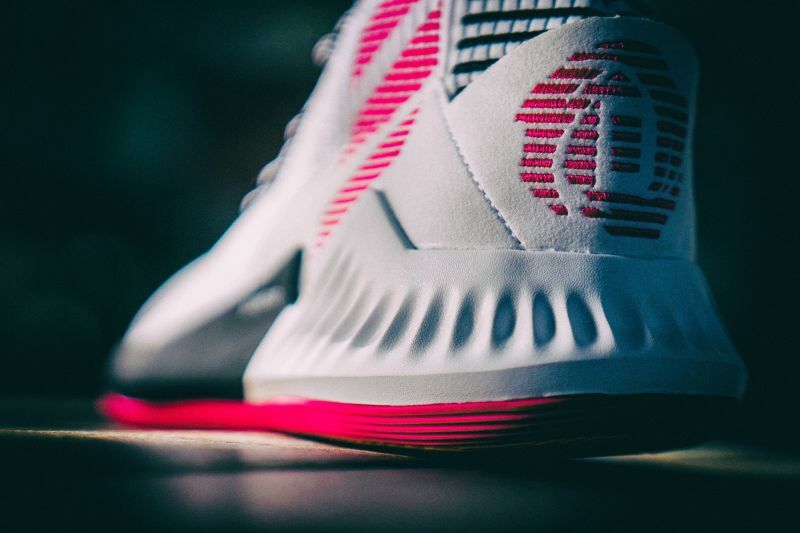 Although D rose 8 has been not more better than the Primeknit upper, the design team cleverly designed many “claw marks” on the inner layer of the pressurized mesh. 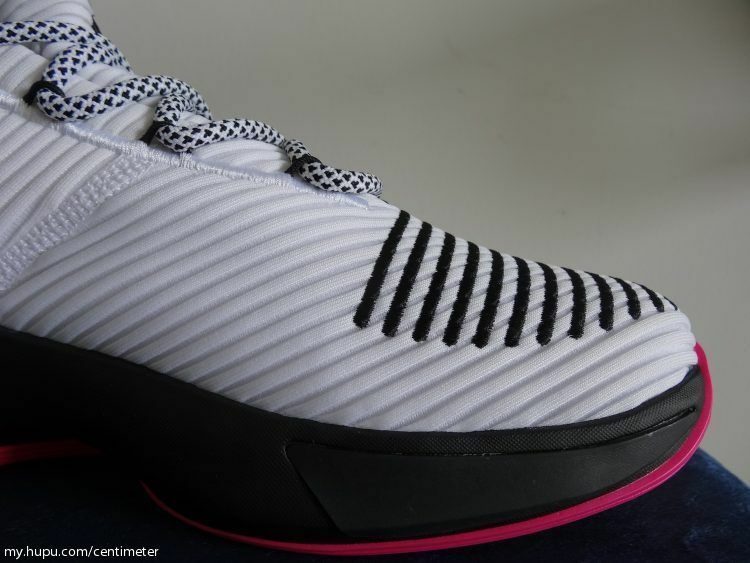 This configuration does not affect the covering force and increases the breathability of the whole shoe. 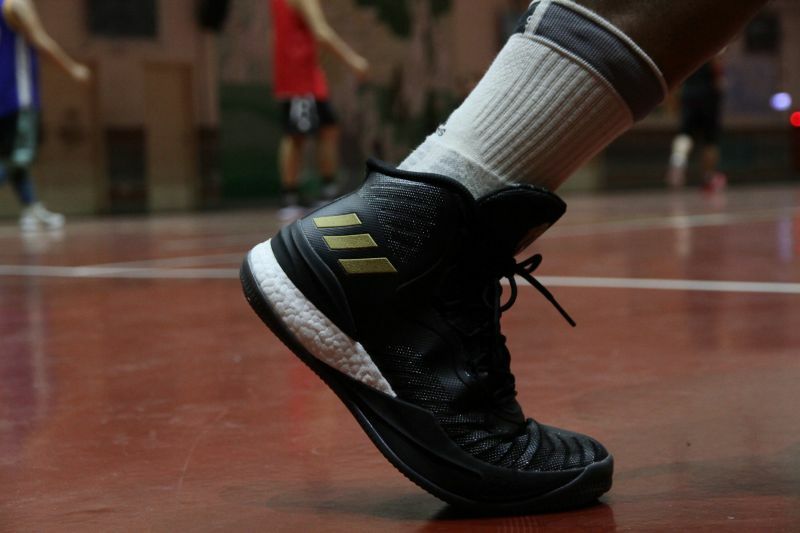 After more than 2 hours of testing, there is no sultry condition in the shoes. I believe the main reason is to benefit from the numerous breathable designs. 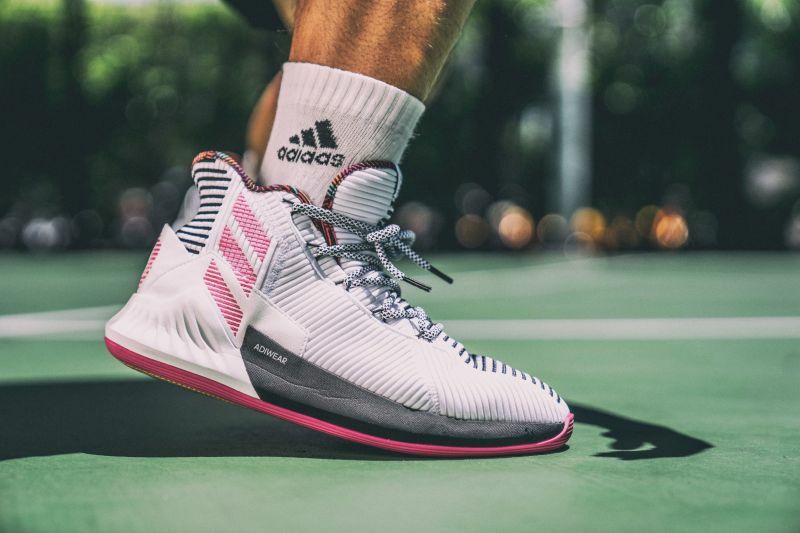 D Rose 8 followed the highest protection design principle, and it uses the pressurized mesh cloth and the full length Boost to maintain a very high technical performance. 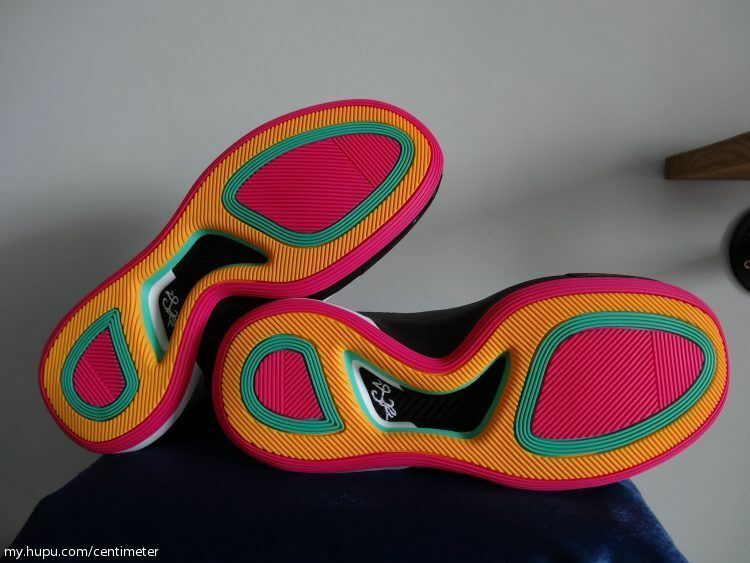 In addition, the design of the sole carving has won my heart, no matter if you are an ankle. 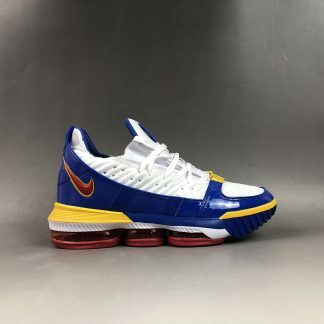 Whatever you are a seriously injured player, or a “heavyweight” player who is worried about injury and pursuit of protection like me, that is a recommended shoes for you, I believe it will not let you down. In 2008, I was fascinated by the NBA in my high school. 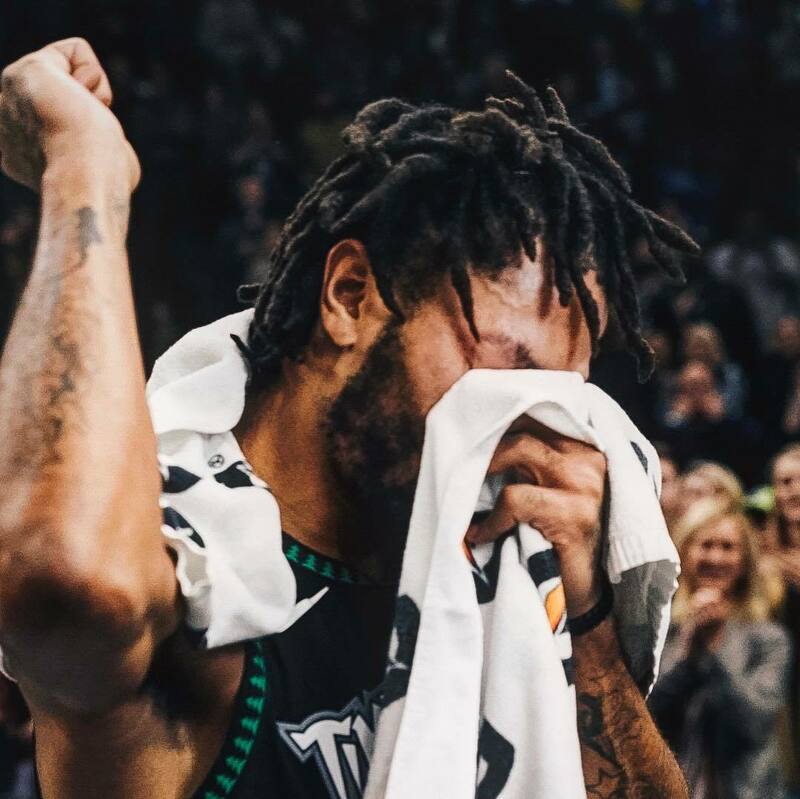 When the ball won the first champion in that year , I was excited .Rose, his style of strength and speed quickly caught my eye. 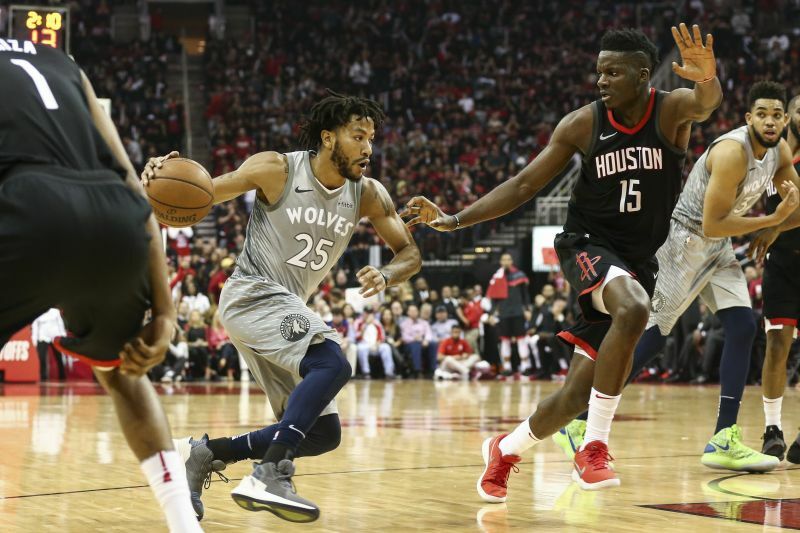 I was not his fan at first , but after watched his game , I was attracted by him .His ability to slash, rise, play defense, and lead a team reminded me . I was so excited to watched each game . 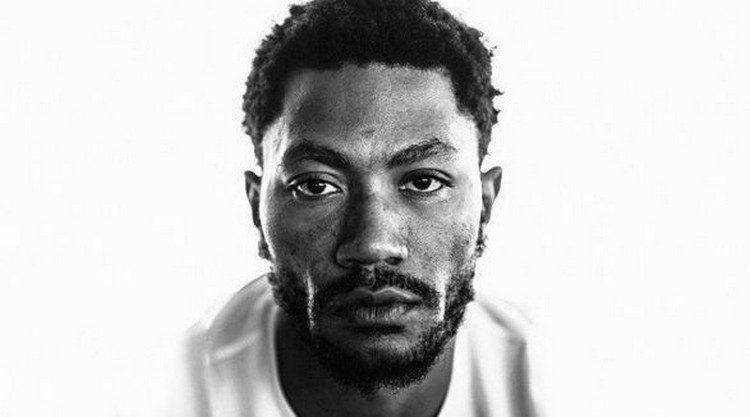 10 years gone, looking at Rose’s skills of basketball nowdays, although not as fast as ever before, but in the key battles, he still has been a key important player.Derrick Rose was well on his way to becoming the most lucrative athlete that adidas ever had in the world of basketball. More importantly, Rose, who has experienced the ups and downs of life, is already an indispensable big brother in the Grey Wolf team. 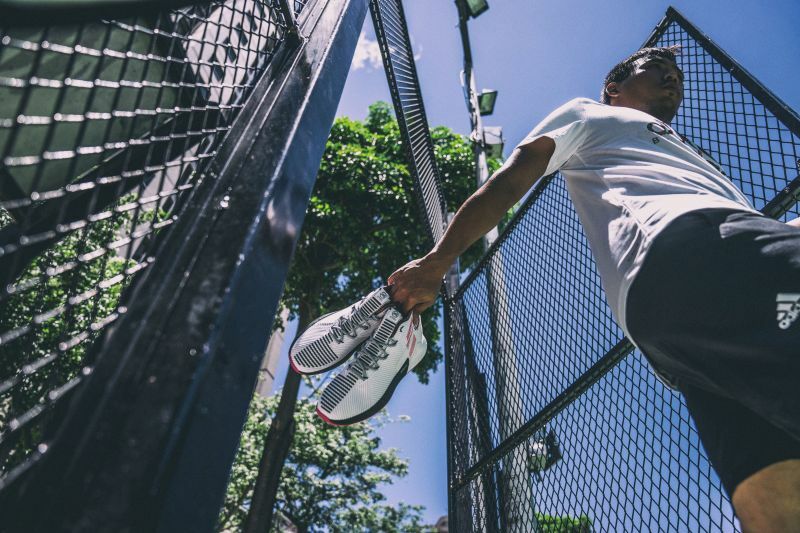 Passing through the gorgeous and crazy years of youth, it is replaced by a calm and trustworthy charm, just like the new boots on his feet – D Rose 9. 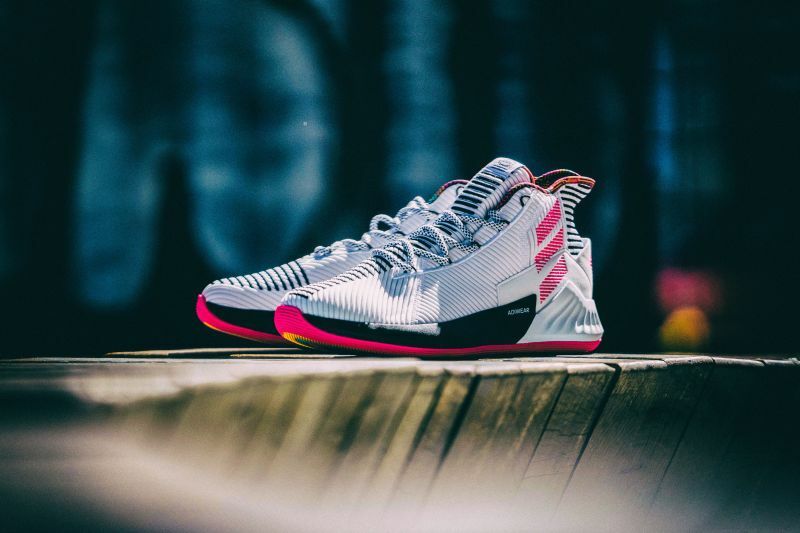 Infused with Primeknit and Adiwear technology, this D Rose selection is one of the most comfortable basketball silhouettes the Three Stripes has to offer. 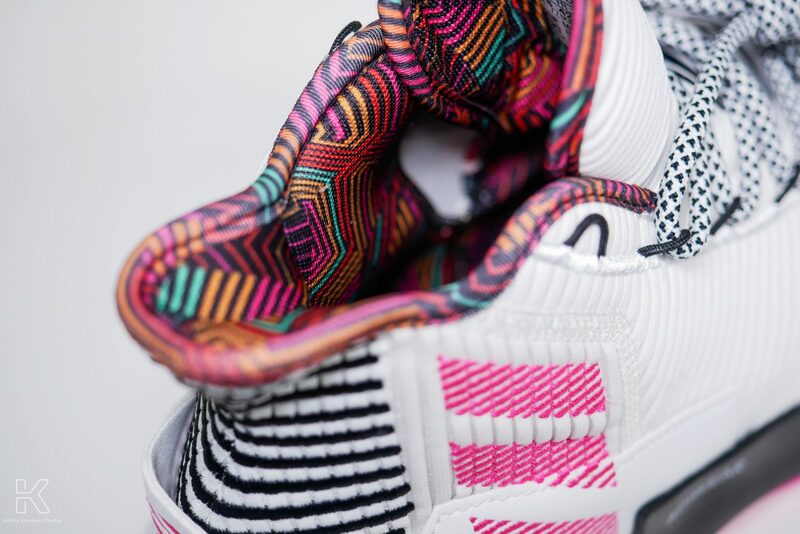 Aesthetically, it ushers in a vertical stripe pattern, as well as a number of stripes on its forefoot, heel, and toe. 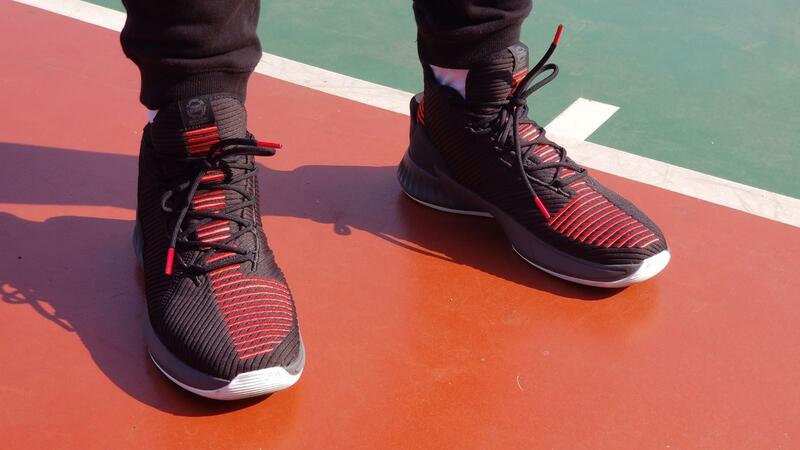 Since D Rose 5 replaced the cushioning system for the first time, it changed from BOOST to BOUNCE. For the warping ,it is nice .A pair of shoes with excellent wrapping must hold the soles of the feet firmly, and protect the feet well, but not too hard to cause pain, but also consider the ventilation problem caused by the material surface. I am very sensitive to the slip phenomenon. 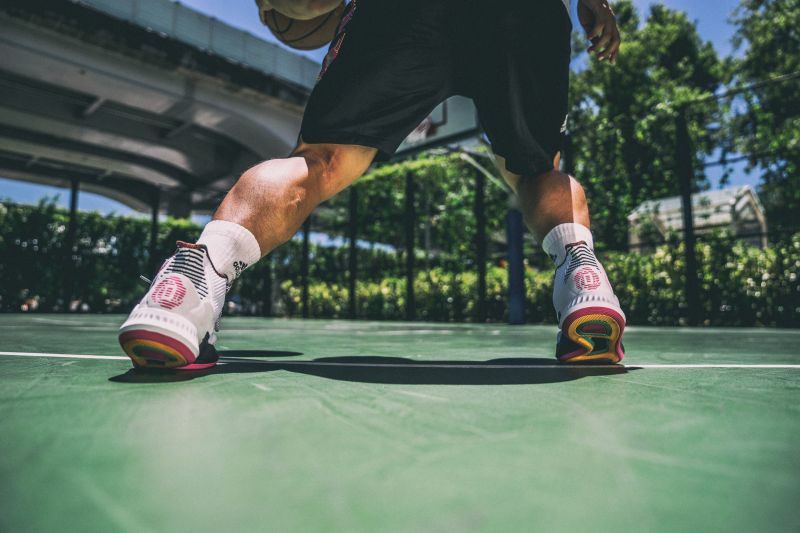 The D Rose 9 has a very good shoelace system and the good material of upper .The part around the hole directly adopts the pressure line extending from the shoe body. So shoelace system sometimes causes a pressure on the instep, but D Rose 9 upper just solves this problem , because of the materil reason. 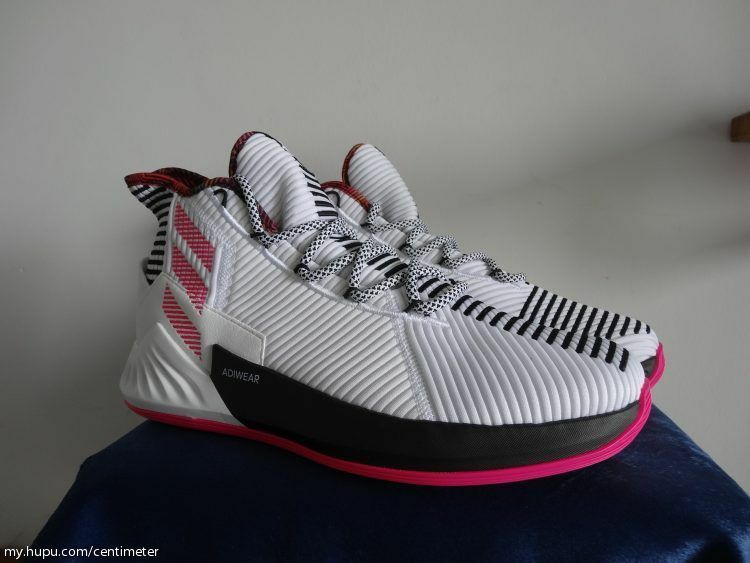 After the model of D rose 5 , the adidas soothing technology BOOST was used in basketball shoes, which caused a sudden sensation. 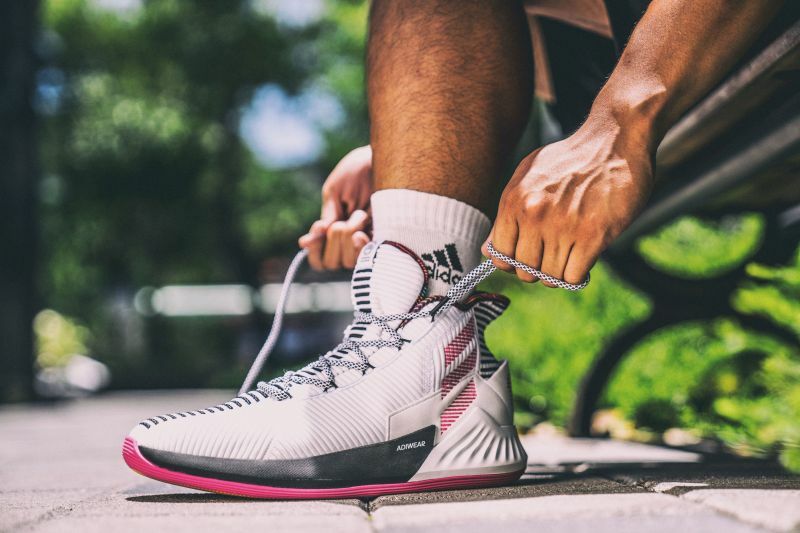 Later, many basketball shoes of adidas started to adopt BOOST. 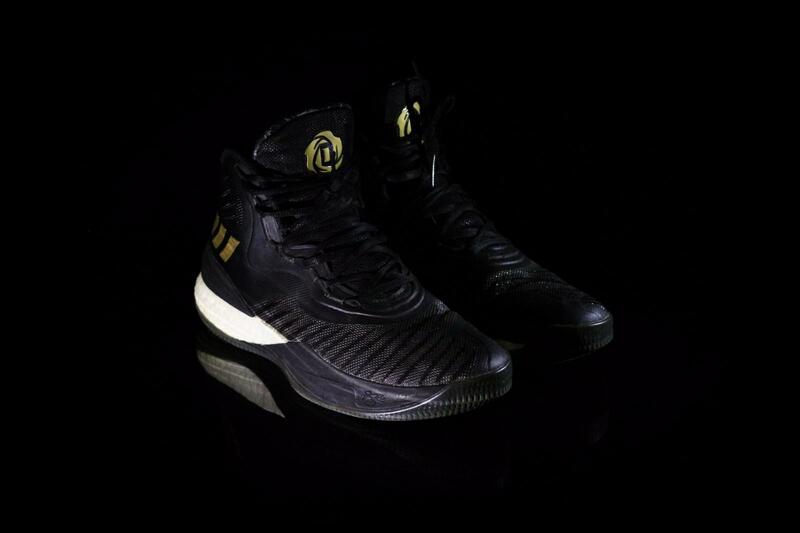 The Rose series shoes as pioneers continued to use this technology until D Rose 9 made a change. 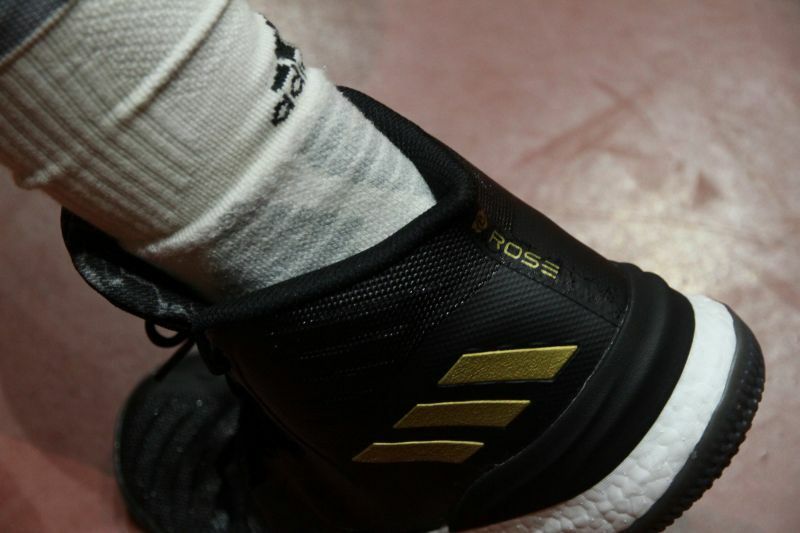 Adidas used the Boost technology in basketball. 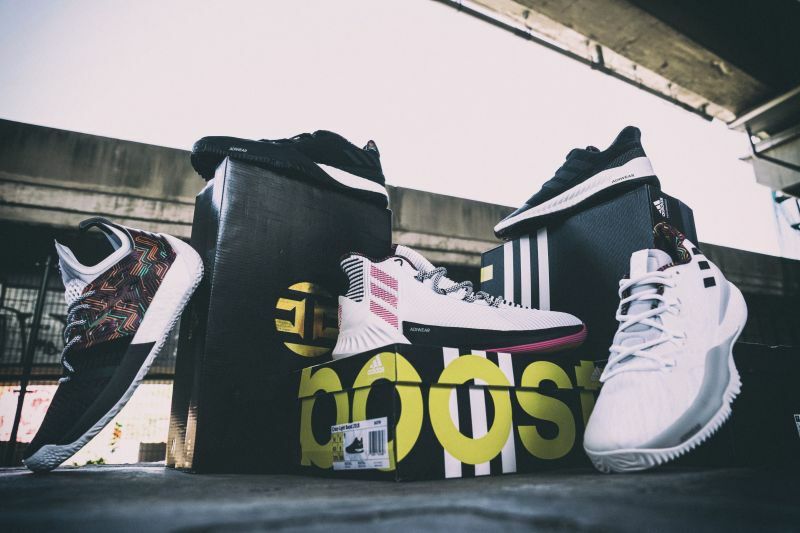 Later, many basketball shoes of adidas started to adopt BOOST. 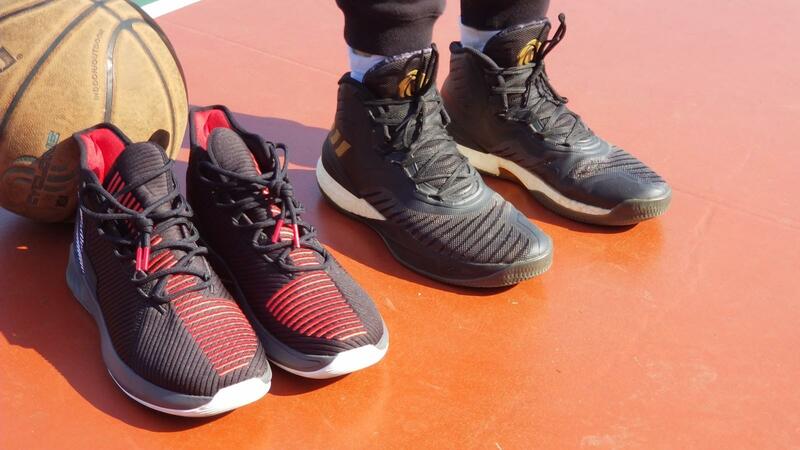 But the D rose just used the Bounce this time , so whats the difference between these material? 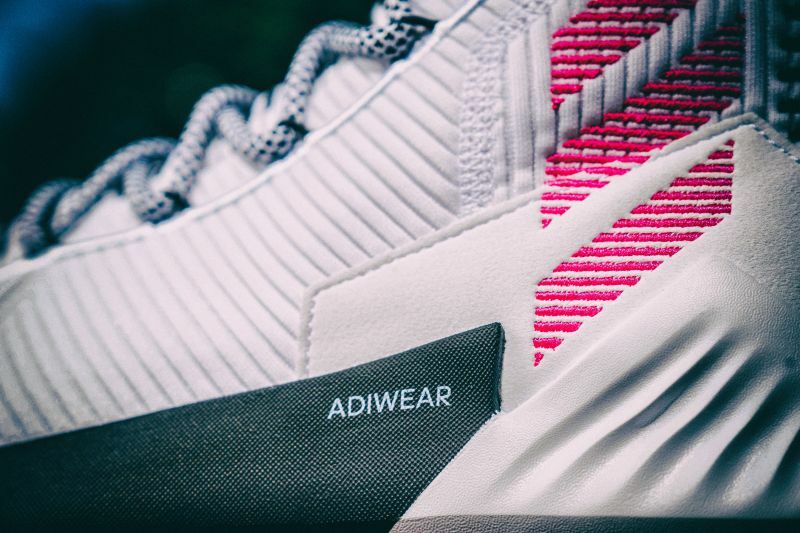 This attention to practical minimalism, while maintaining an aesthetic flair and upgraded functionality, fits nicely into the AlphaBOUNCE’s get-in-the-zone, get-in-the-flow story. 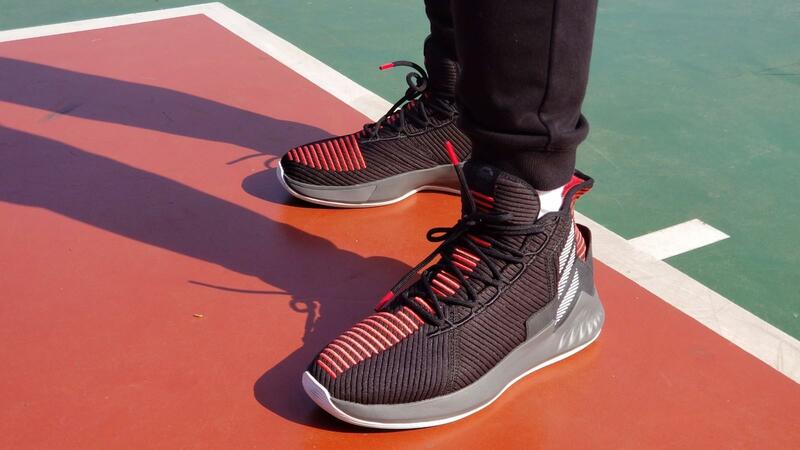 You really shouldn’t be noticing your sneakers when you’re wearing them, and the Alpha ensures this type of subconscious comfort with its seamlessly integrated parts. 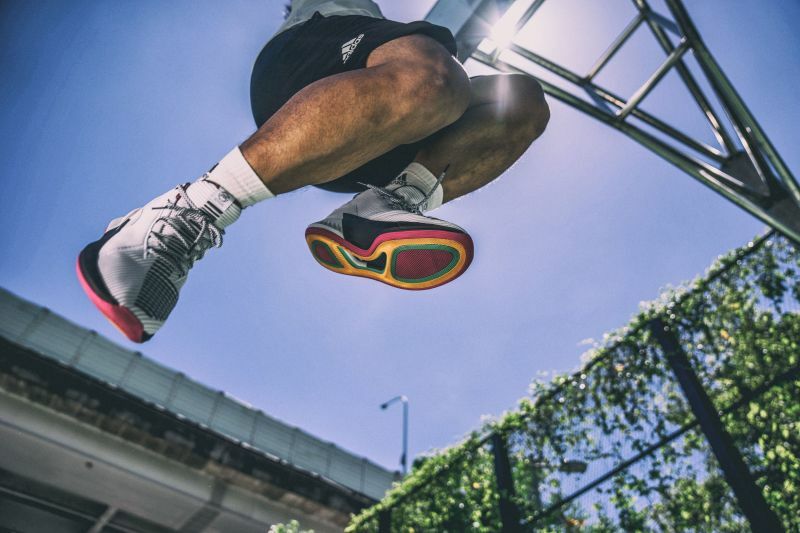 A BOOST-equipped sneaker will cushion your foot with each pound of the pavement, before it springs back and returns the stored energy into your forward momentum. Although it might sound like a bit of cheat, it’s really just the result of some very clever thinking. 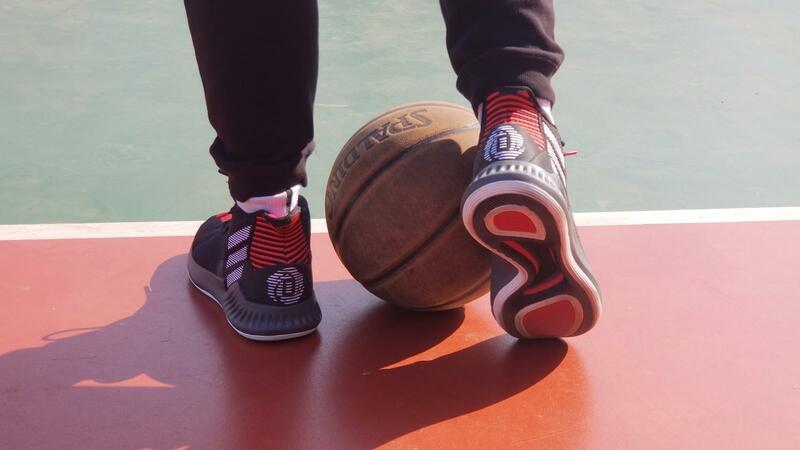 For me ,I was wearing D Rose 9 for various actions. 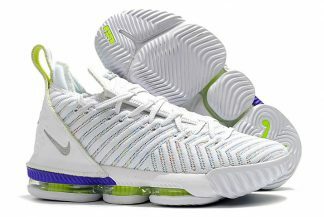 The reactivity was definitely the most amazing , overall design of the upper and the bounce cushioning are my favorite part. 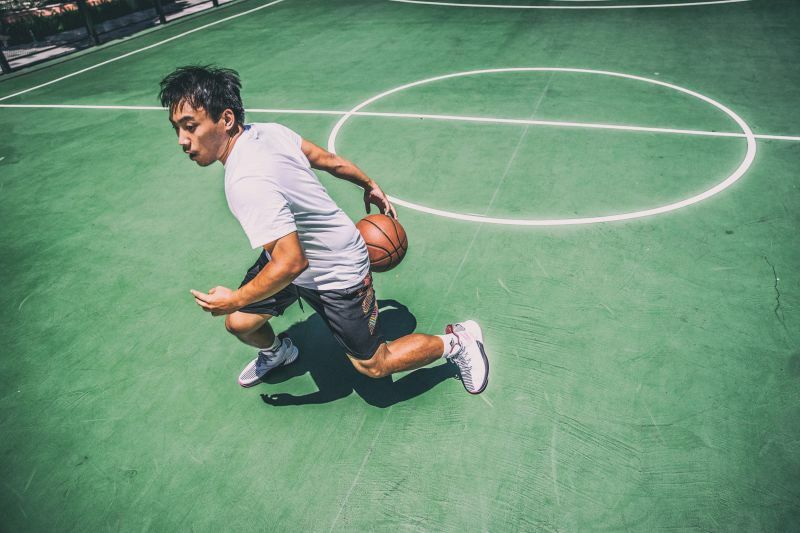 Trying to change direction, shifting or even turning around can quickly convey the kinetic energy to the whole pair of shoes.I think that D Rose 9 is one of the most responsive of the series. For the supporting : The wide base feels stable underfoot on every cut and move and the heel is locked in, keeping your ankle in its normal state. The Rose 9 is as stable as ever before the part of ankle. 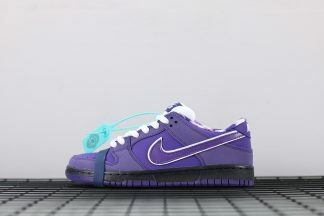 Because of the heel part added TPU , and the memory foam is filled on the ankle, but the thickness is not over-coated and maintains flexibility. The rest of the protection is from the huge tongue, so the feeling above the ankle is more comfortable and breathable than before. 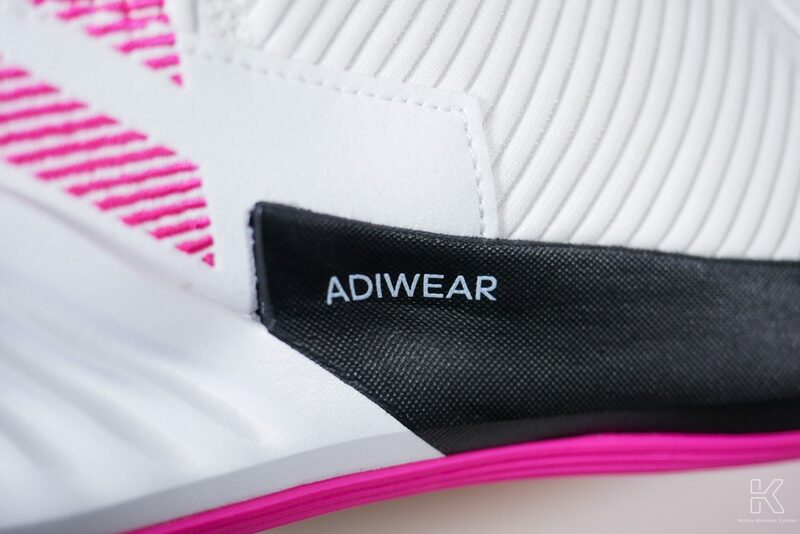 For the traction : The traction pattern is great .The rubber material of the Rose 9 outsole uses ADIWEAR, which emphasizes wear resistance. 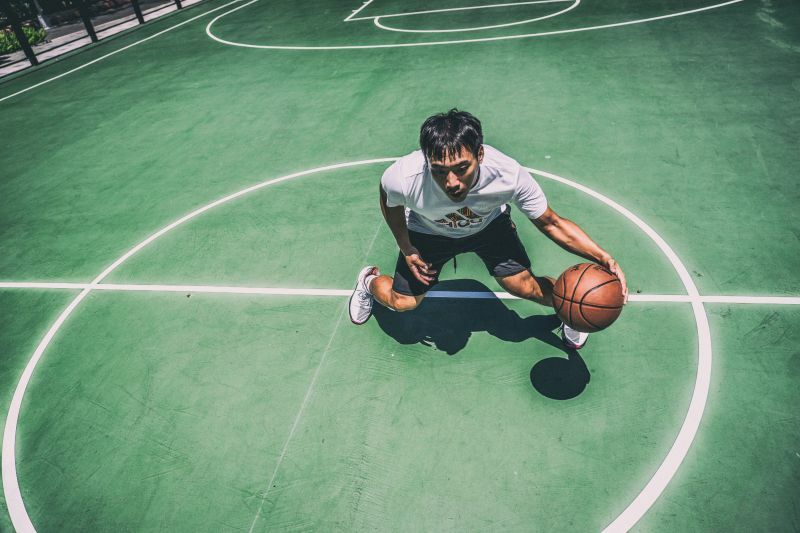 In this test, I tested it in outdoor court. Except for some dust, there is almost no wear and tear, I felt great for the grip . 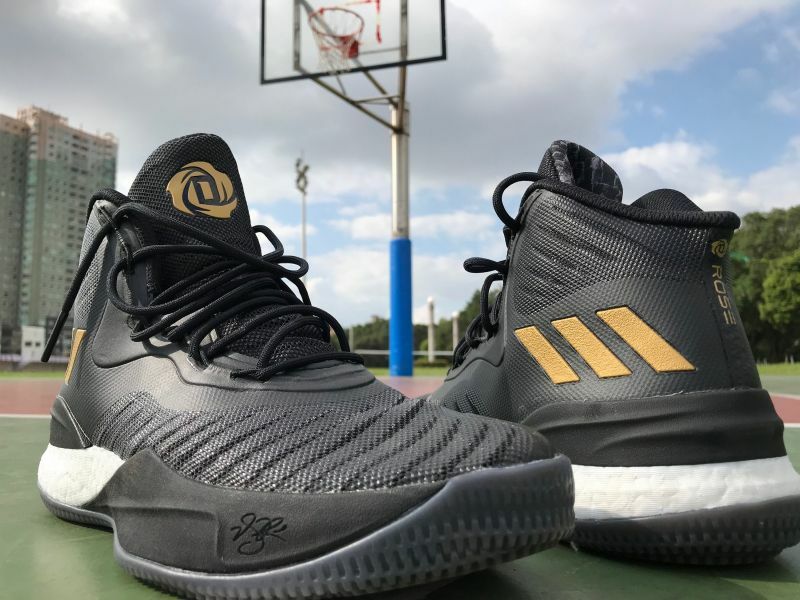 With the combination of price and comprehensive technology, D Rose 9 is definitely one of the most effective shoes to be trusted in this summer. Overall ,According to the color of the internet, it is mainly monochrome. 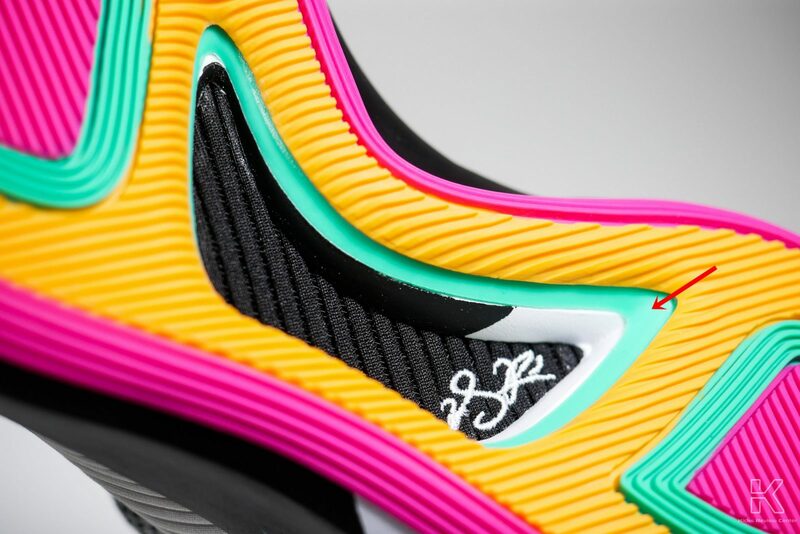 This summer’s Summer Pack series brings more colorful feelings, especially the eye-catching outsole with three colors. I like it very much . The pure white upper looks fresh in the summer, followed by a pink Rose exclusive logo printed on the suede material to add texture, in short, although the appearance preference is more subjective .But I still want to say, I highly recommend shoes! The great cushioning and material. 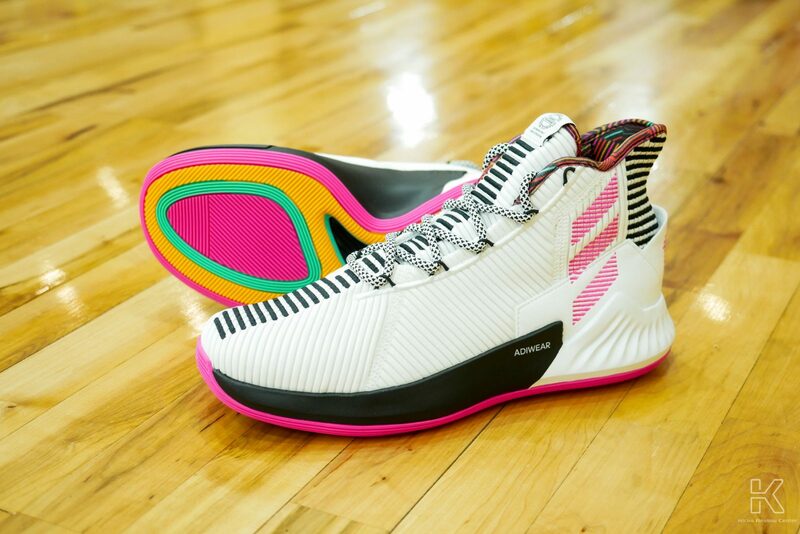 Derrick Rose and Adidas released the D Rose 9 this summer, a lot of people guess that it will be popular whole summer. 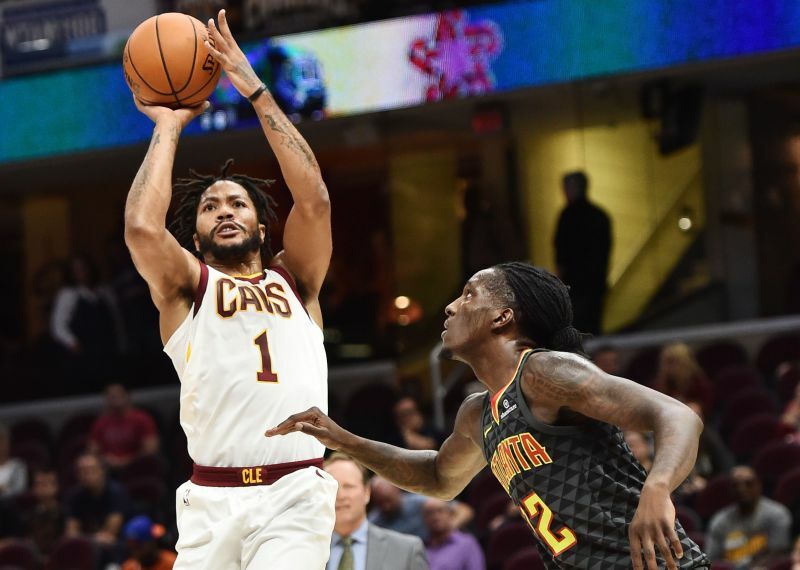 Derrick Rose was well on his way to becoming the most lucrative athlete that adidas ever had in the world of basketball.So a lot of fans got the chance to buy one . For me , I am so lucky that got one . we will check it today . 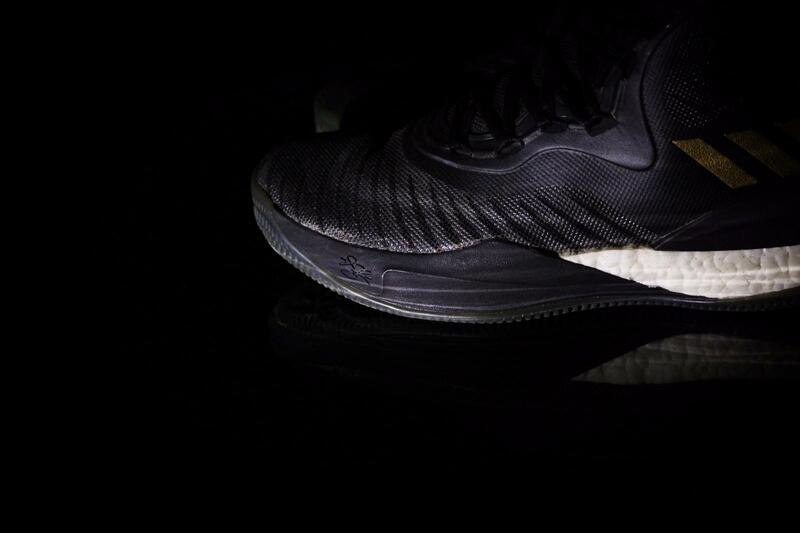 This D Rose selection is one of the most comfortable basketball silhouettes the Three Stripes has to offer , because of it used Primeknit and Adiwear technology ,we will look closely . 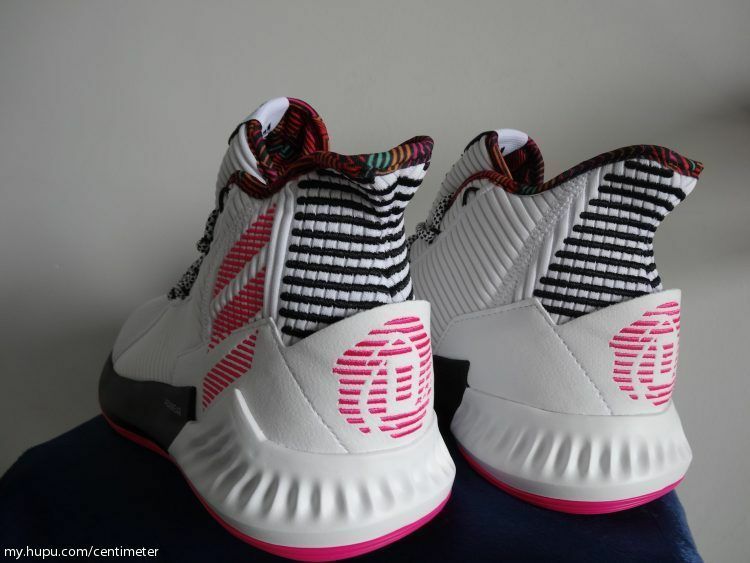 For the material: It is totally different compare with D Rose 8 ,the D Rose 9 used the Primeknit and Adiwear technology， but the a super basic Foam backed Mesh upper, so the D Rose 8 will be stiff . 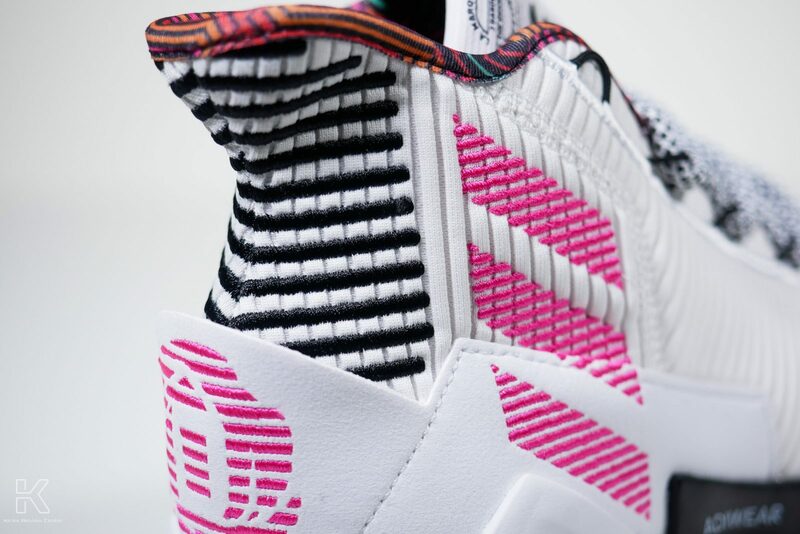 The Primeknit will be soft and comfortable .Then the ventilation, the rose 8 will be better, because of it cut outs throughout the whole upper that keep your feet dry and fresh, as well as improves flexibility for more natural movement. 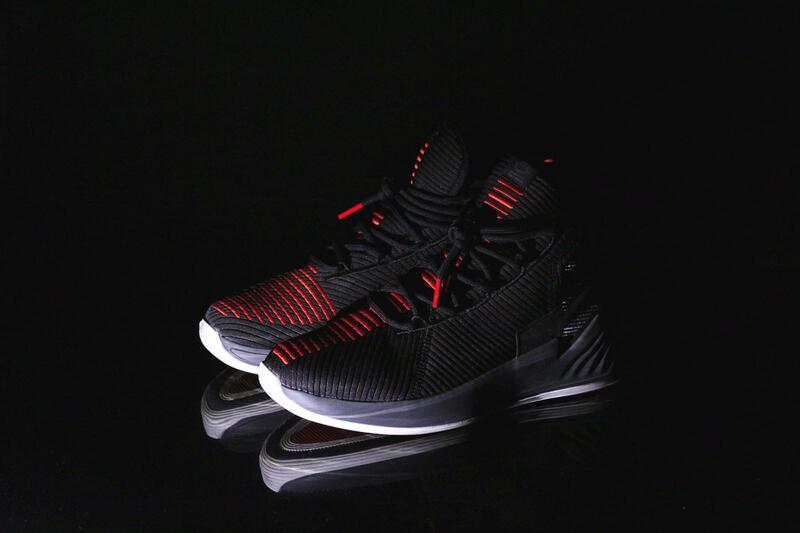 Here is the picture that D Rose 8. 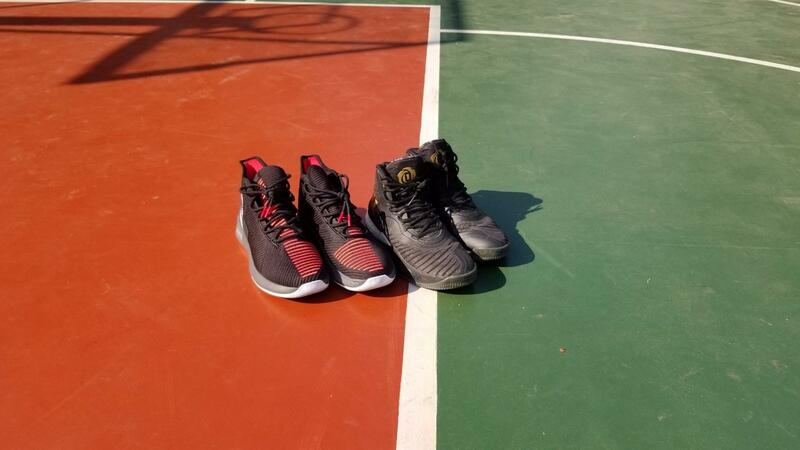 For the supporting : The D Rose 9 will be better then Rose 8, there is a leather stretchy material to protect the heel and anti-rolling over when you playing.But for the D Rose 8, Non- stretchy Mesh & a small rubber works tandem to secure your foot from rolling over the footbed. 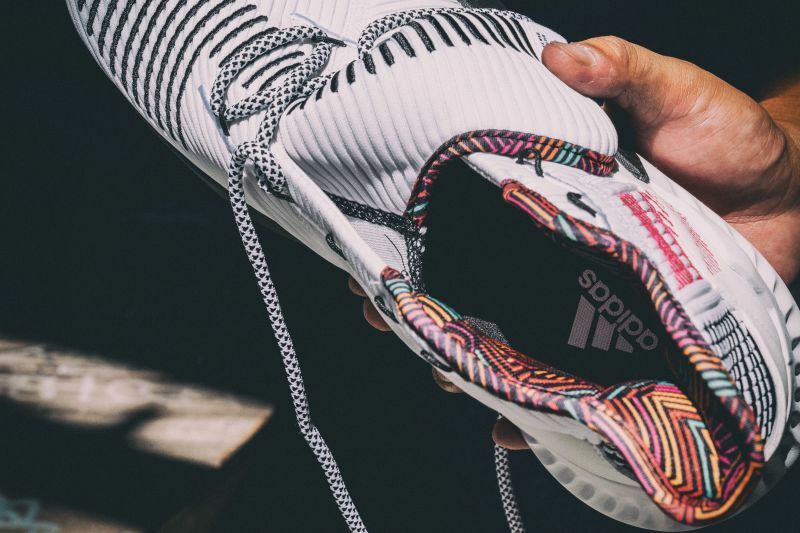 For the traction: It used a vertical stripe pattern, as well as a number of stripes on its forefoot, heel, and toe.But the grip just so so. 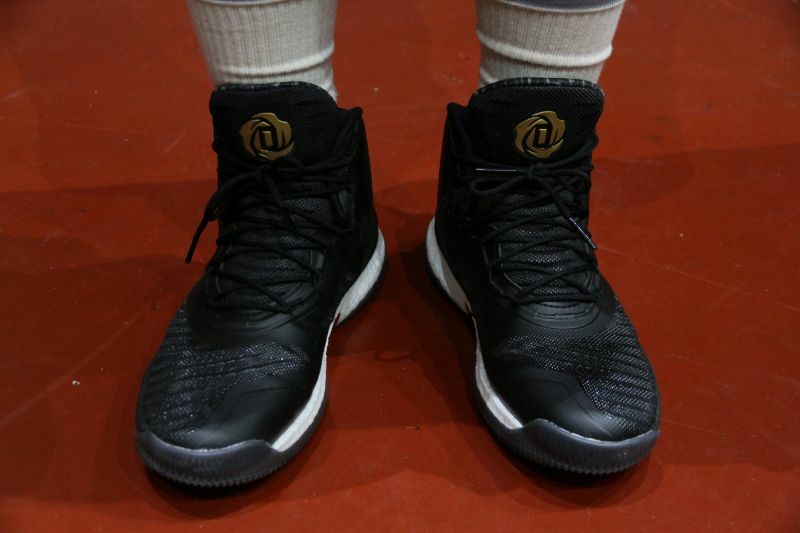 The D Rose 9 is more comfortable and soft. 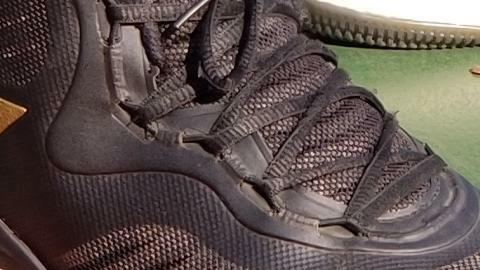 I mean more bounce.we can felt a lot for the responsive since they do use forefoot a lot. What about dusty courts then? Actually it will collect the dusty well . but just forgot it ….. all of shoes will be collect the dusty . 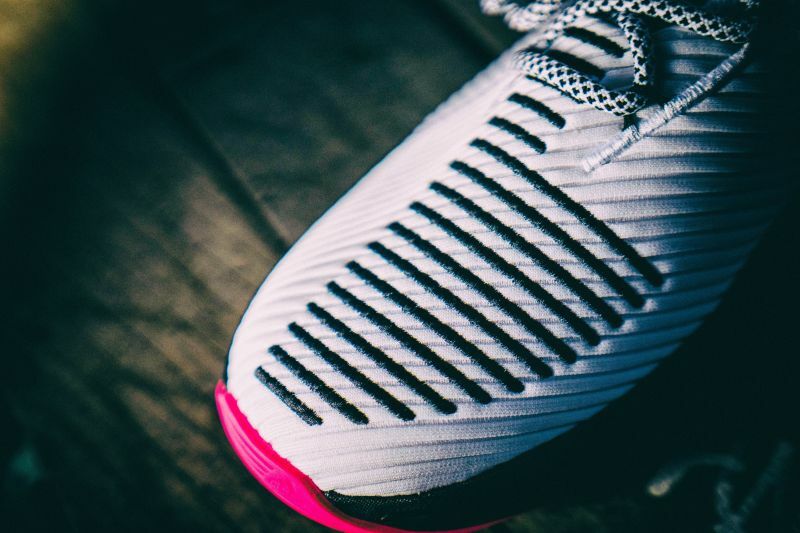 For the cushioning ,it used bounce instead of Boost.While Rose has been wearing the Rose 8 on-court, so the D Rose 9 also has been followed the bounce tech, it is work well as usually.It is improved responsiveness this time .The caged BOOST laterally in the forefoot/midfoot areas for direct BOOST energy kick directly to your foot.So you can feel a lot when you do whatever you do .This trick makes forefoot incredibly responsive which is perfect scenario for guards since they do use forefoot a lot. 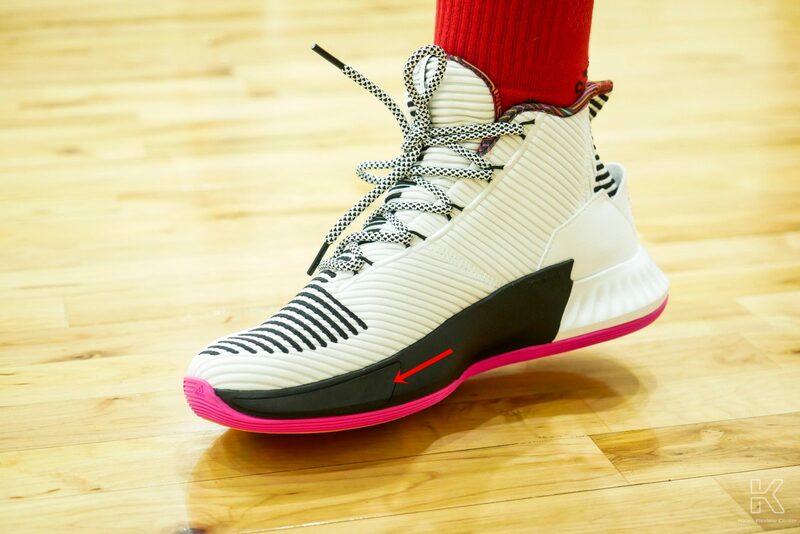 For me, personally, I do enjoy more the D Rose 9, sweet spot between great lockdown and lightness, weather to have rock solid lockdown & feel too contained. A vertical stripe pattern anywhere . 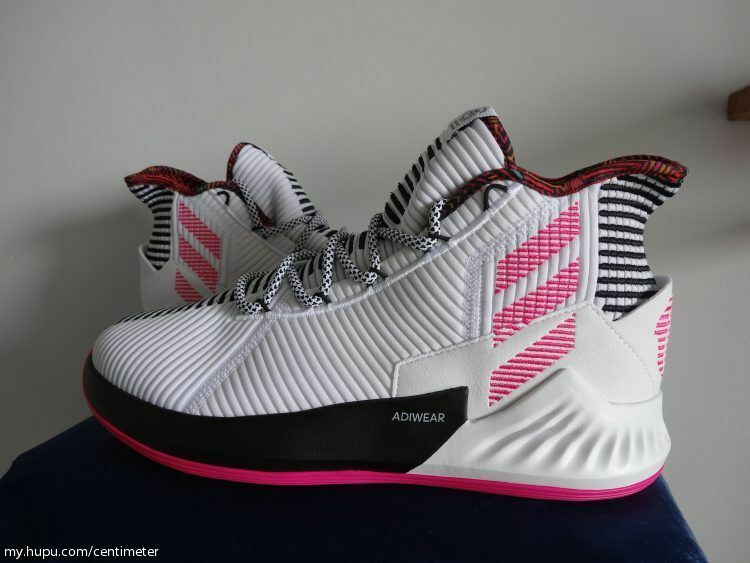 Overall , they do look like adidas run out of ideas creating another mad silhouette for D Rose, it is different compare with D Rose 8 , but the bounce has been felt a lot , the great responsive and soft material . It is worth the price .